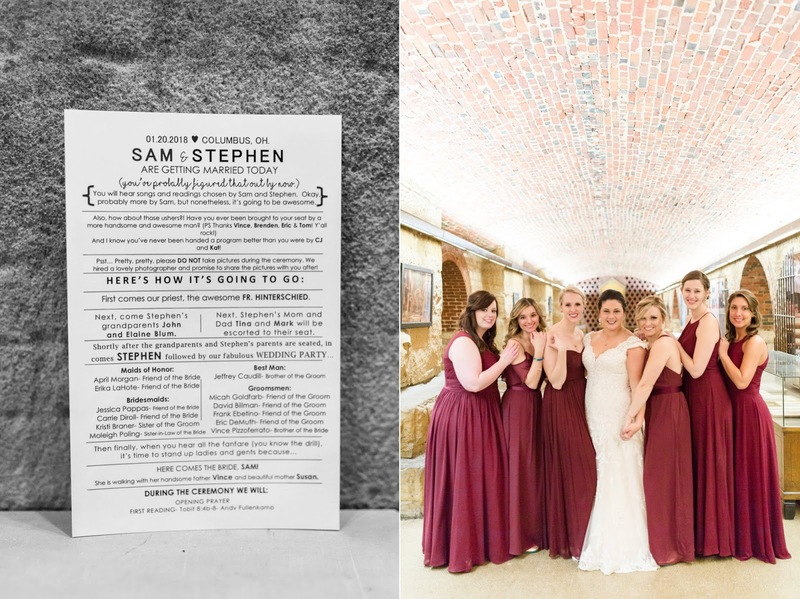 Where to even begin with Sam and Stephen! 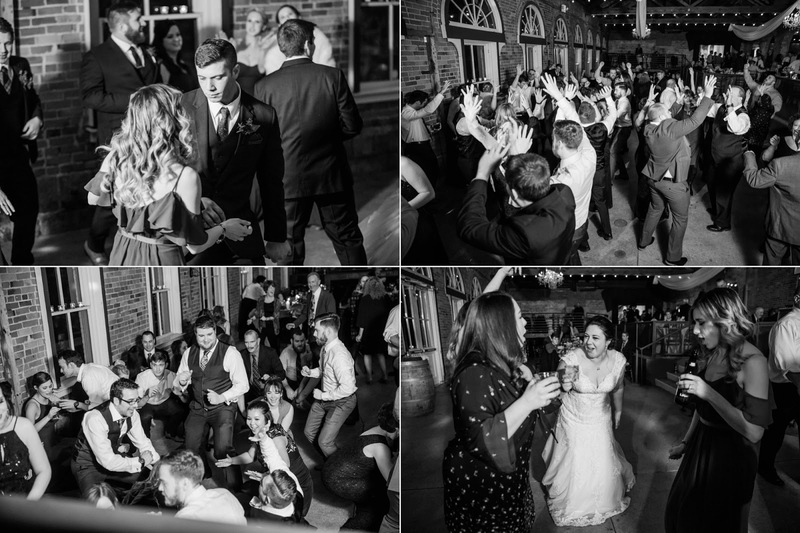 Travel with me, if you will, to a bar in New Orleans just over three years ago. 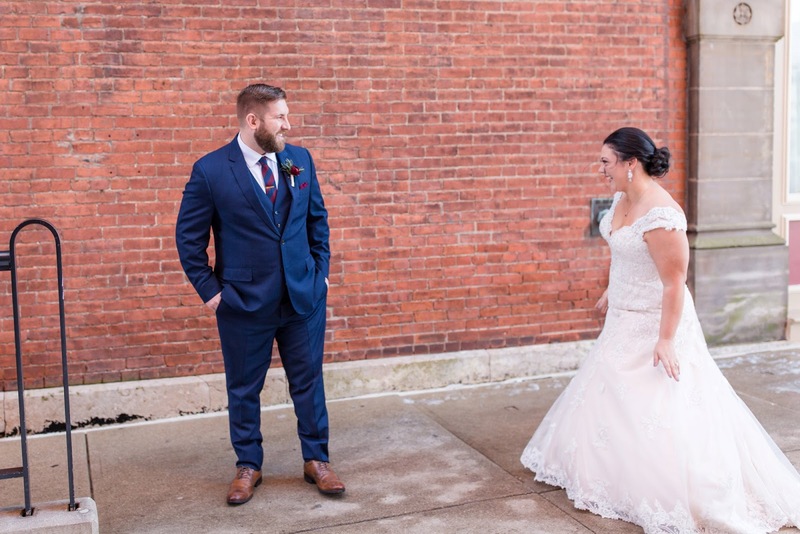 Two Ohio natives far from home found each other, and their lives would never be the same. 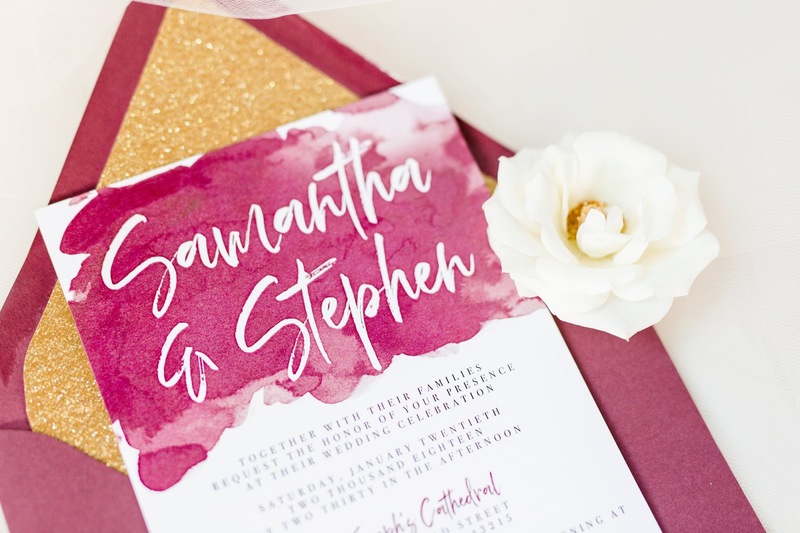 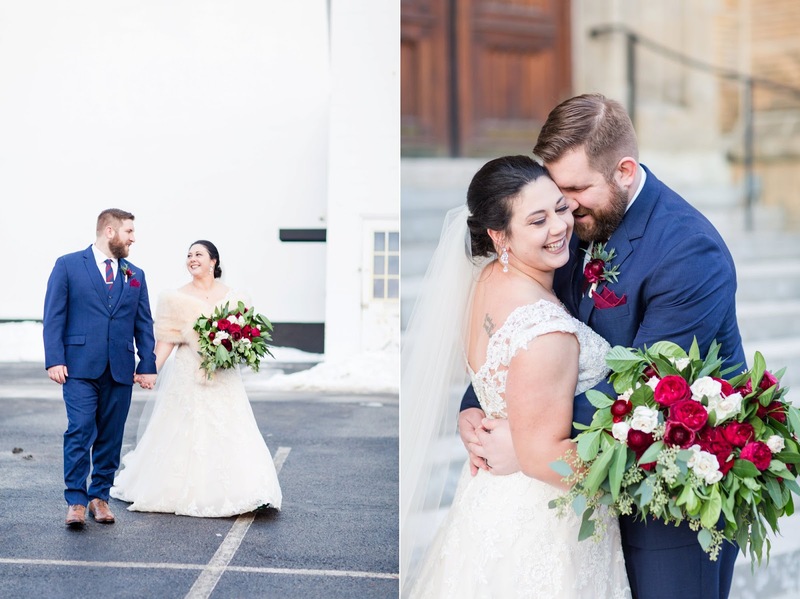 A stronger couple would be hard to find, as Sam and Stephen have stood by each other through thick and thin and serve only to steady the other. 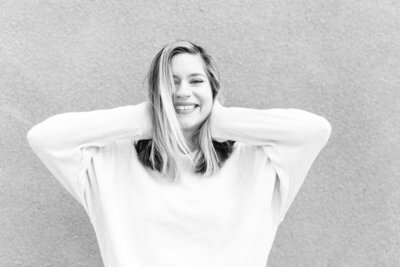 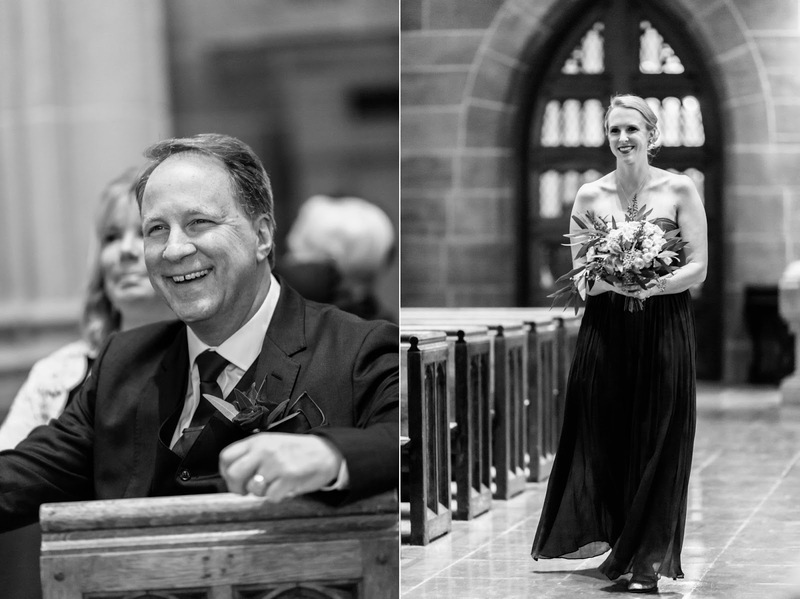 Sam’s laughter lights up the room, and most often, Stephen is the one to make her laugh. 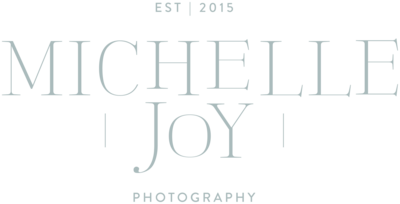 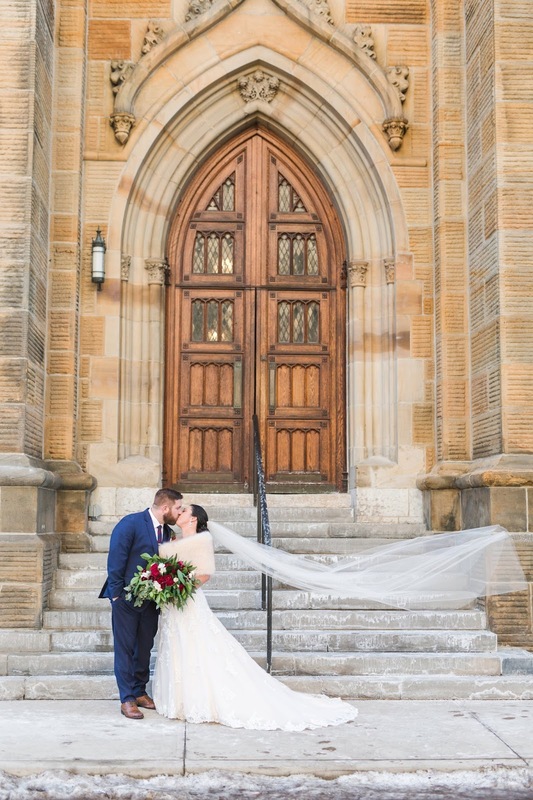 Capturing their wedding day was an honor and a privilege, and I can’t wait for you to see their story! 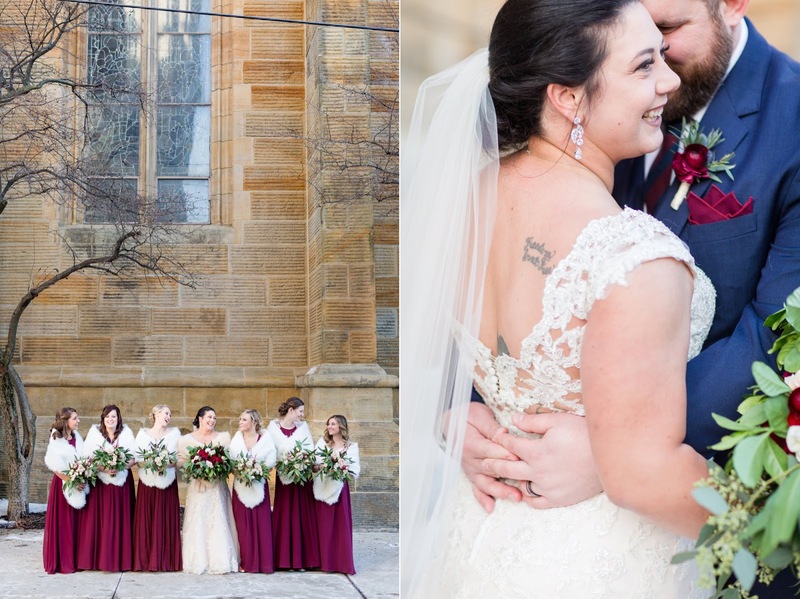 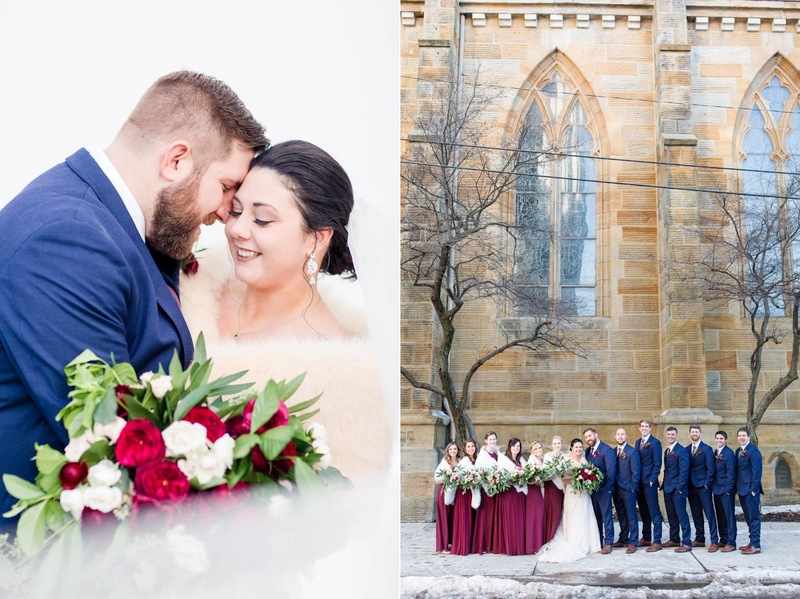 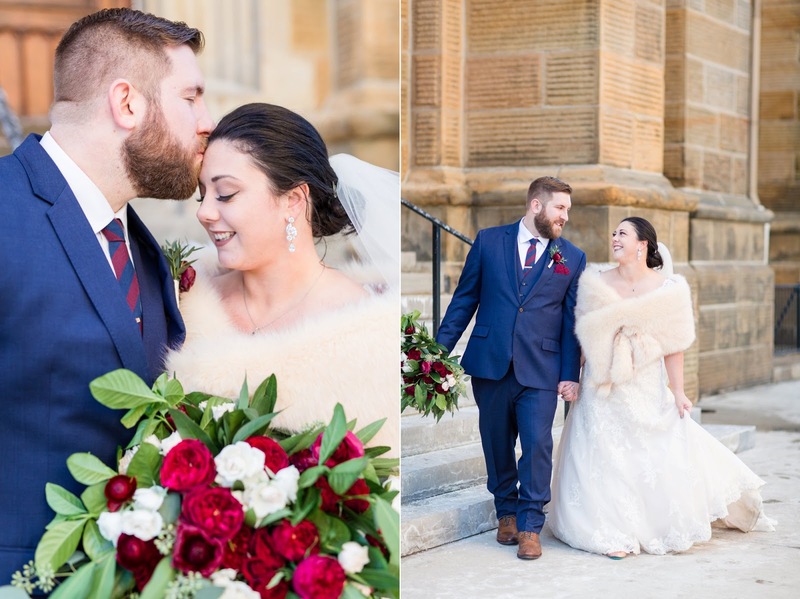 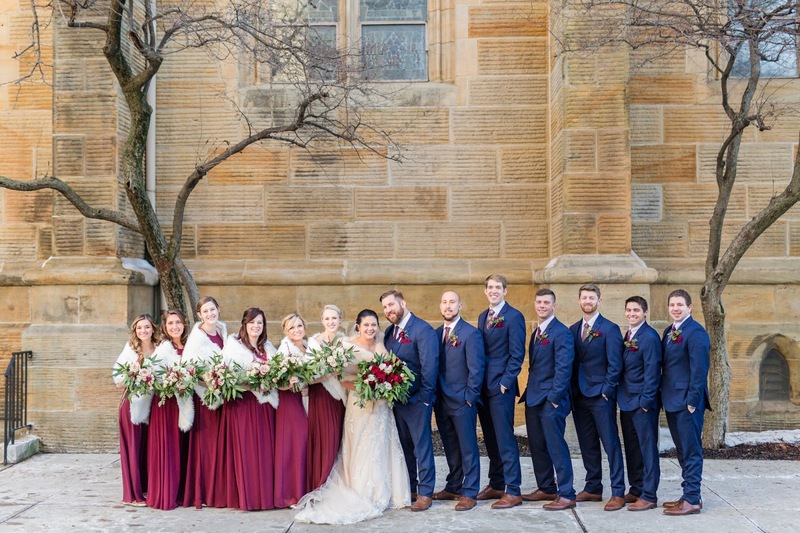 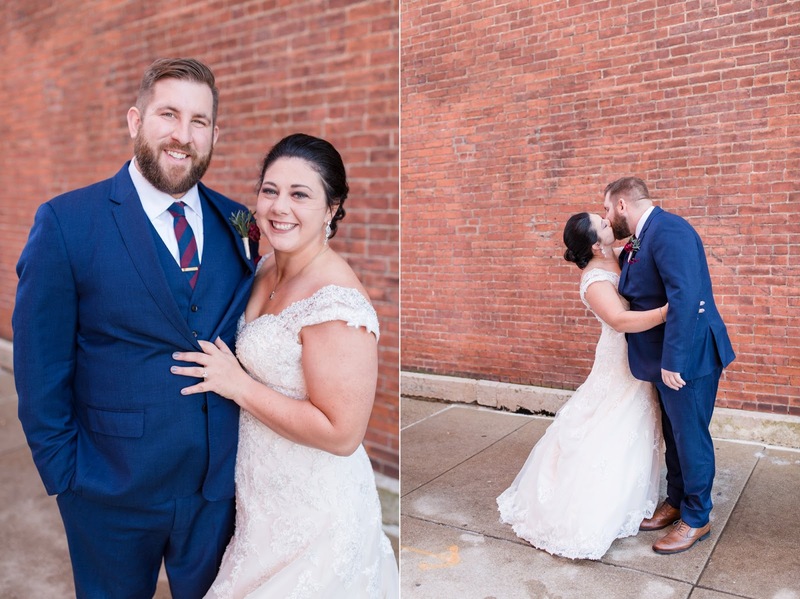 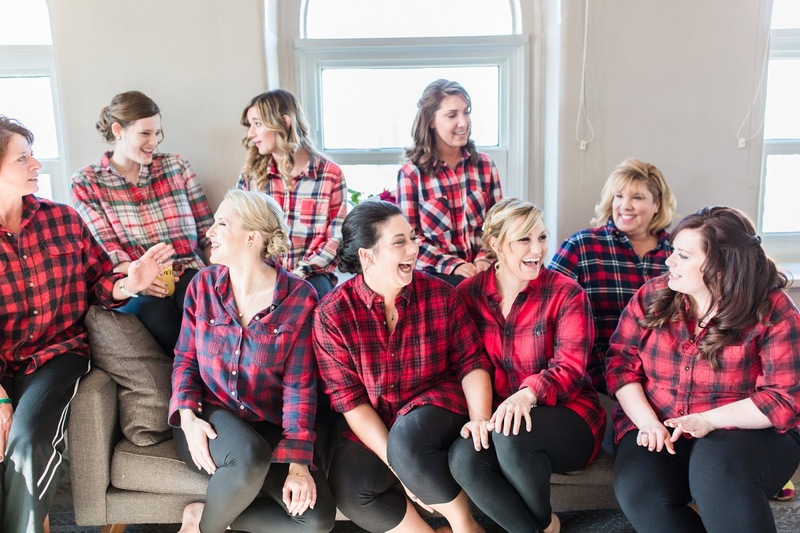 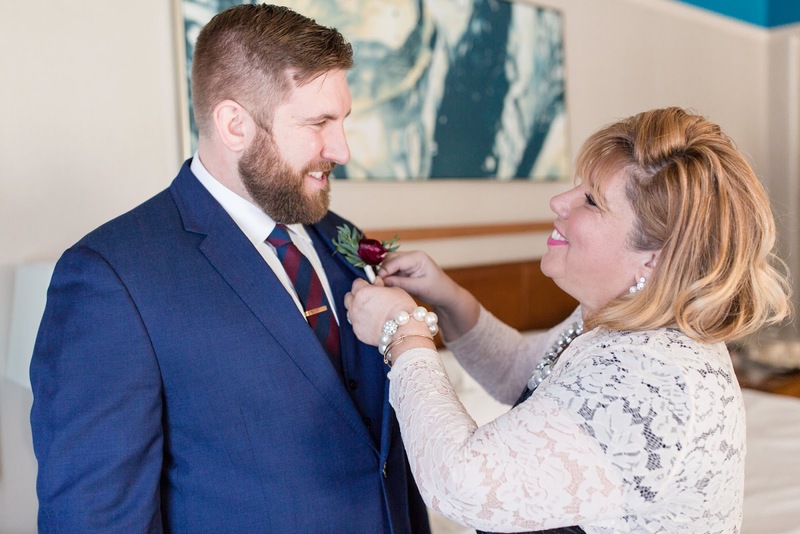 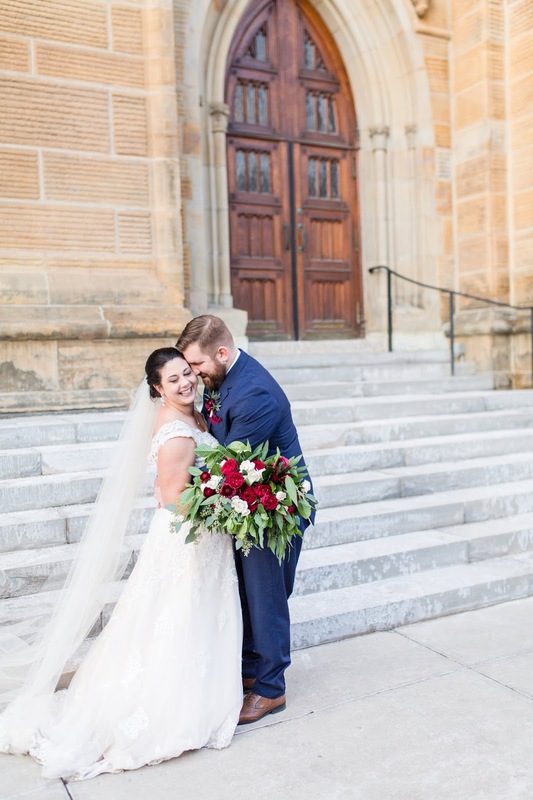 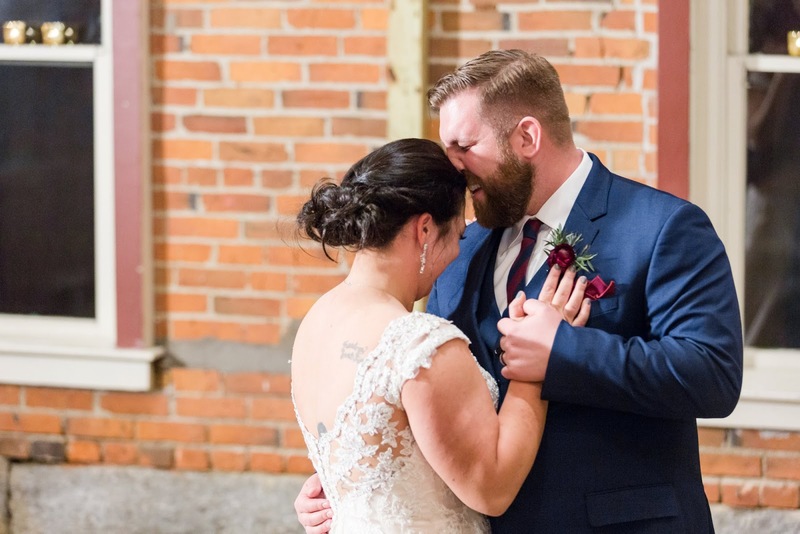 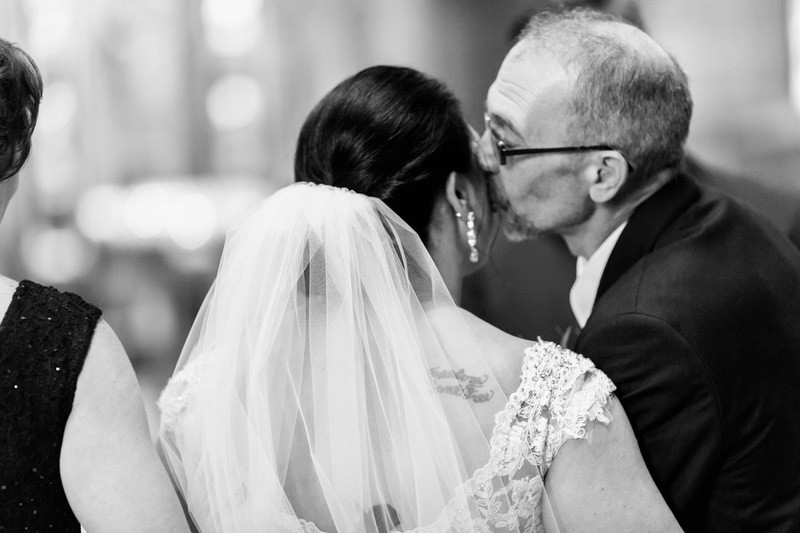 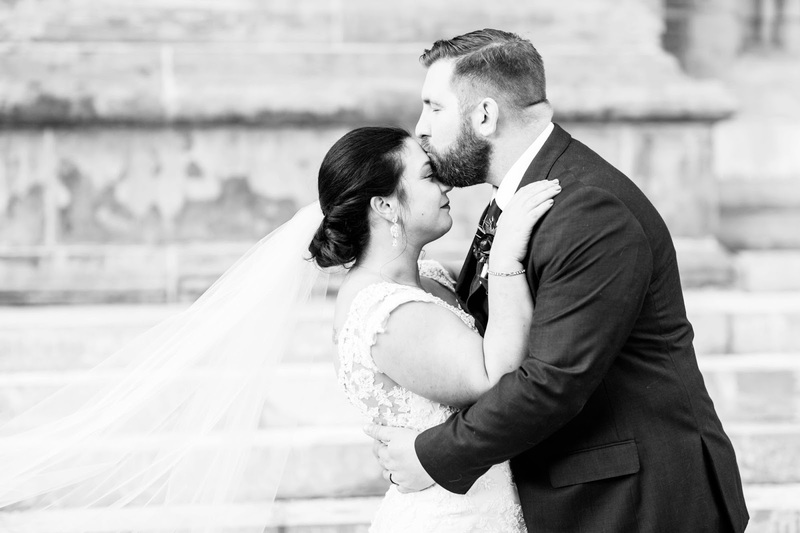 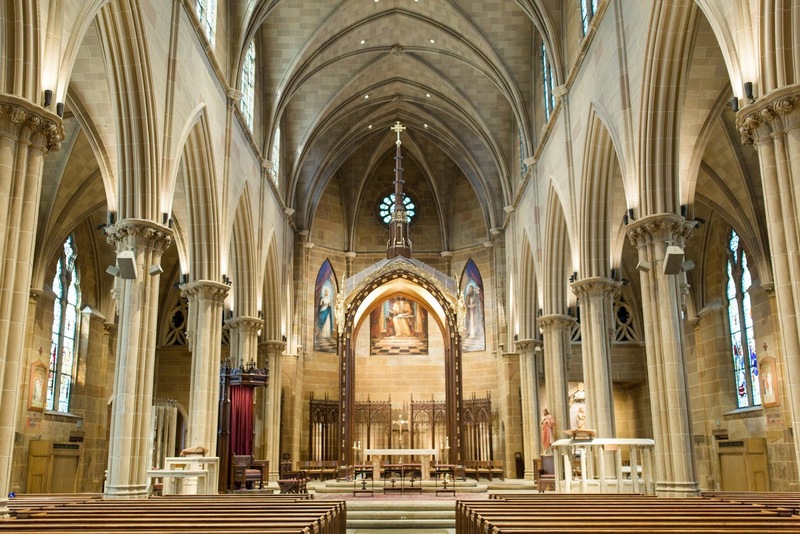 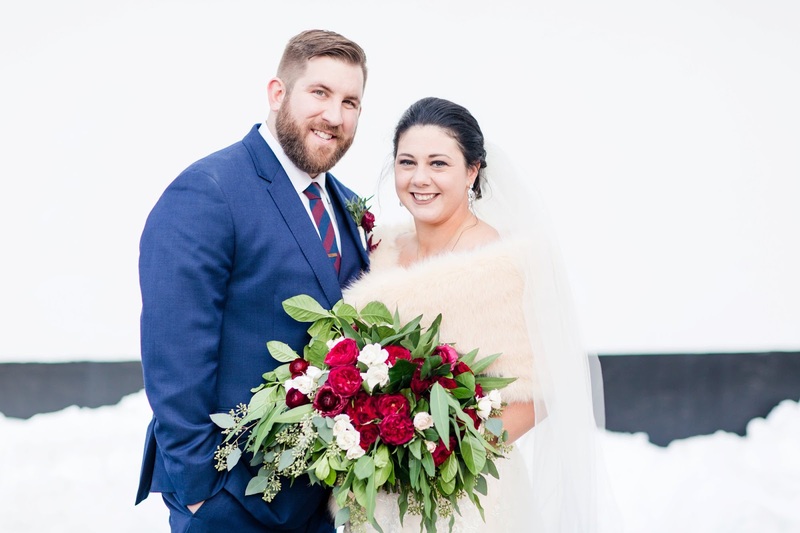 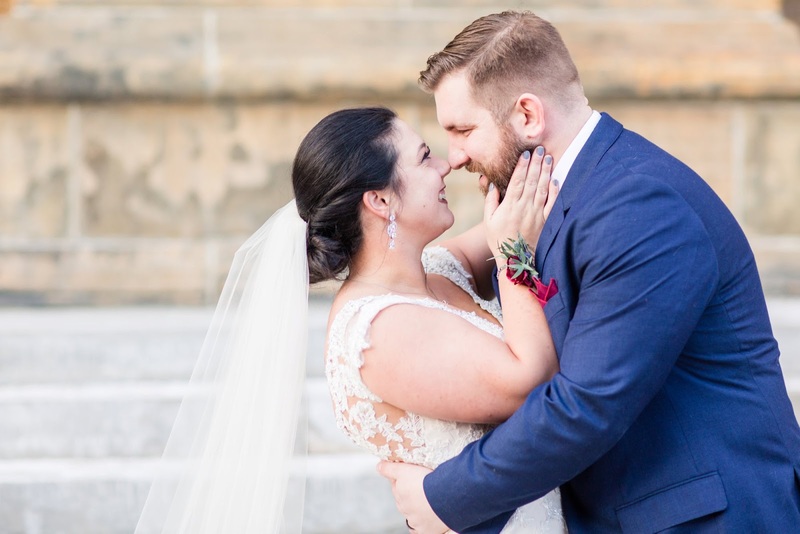 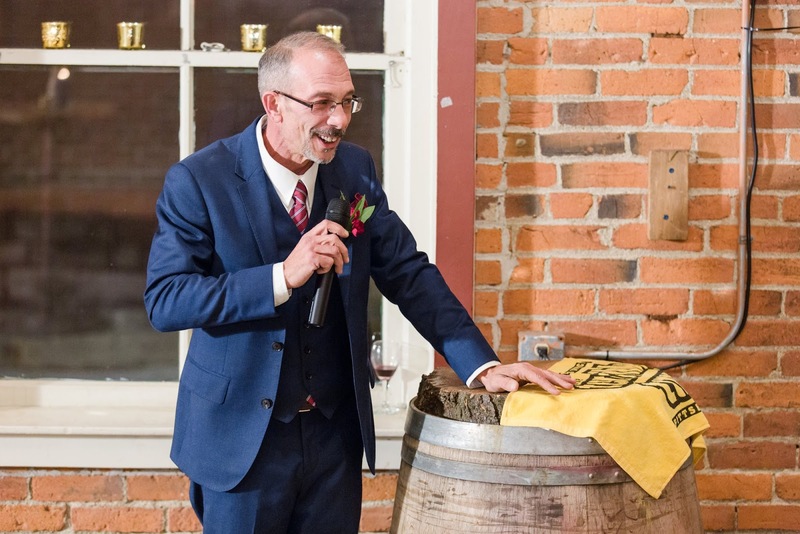 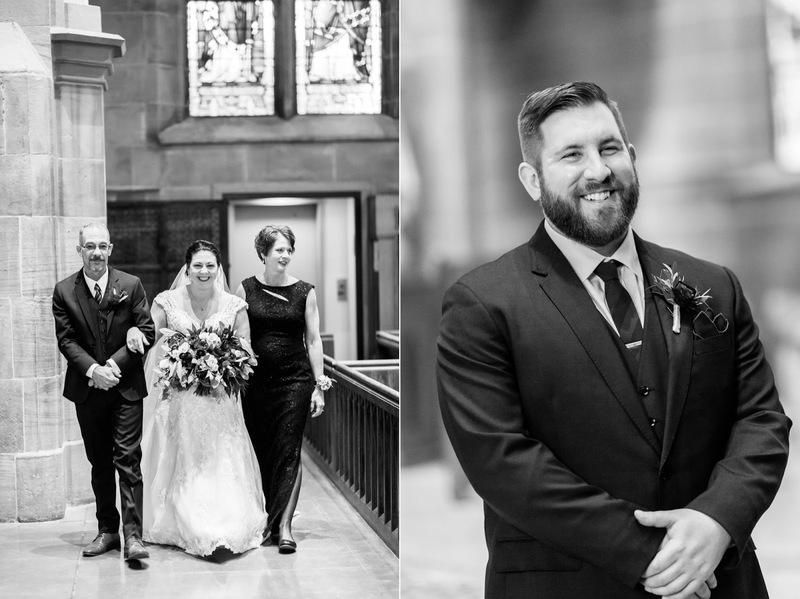 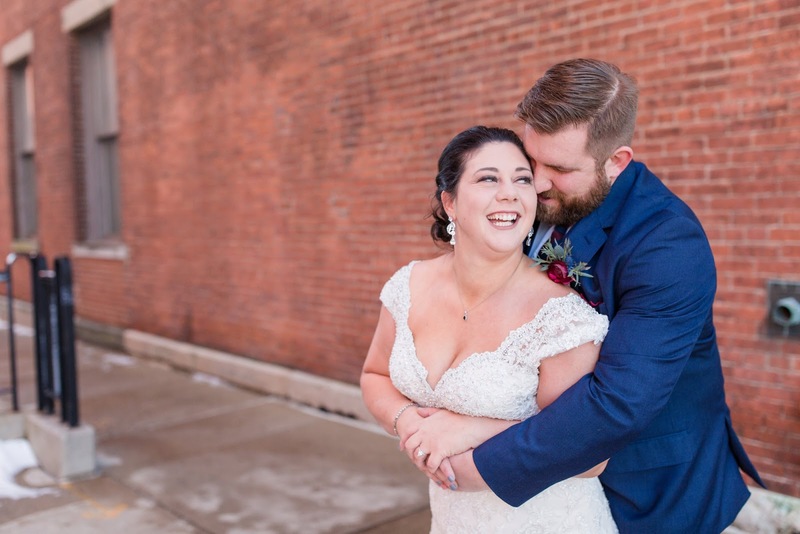 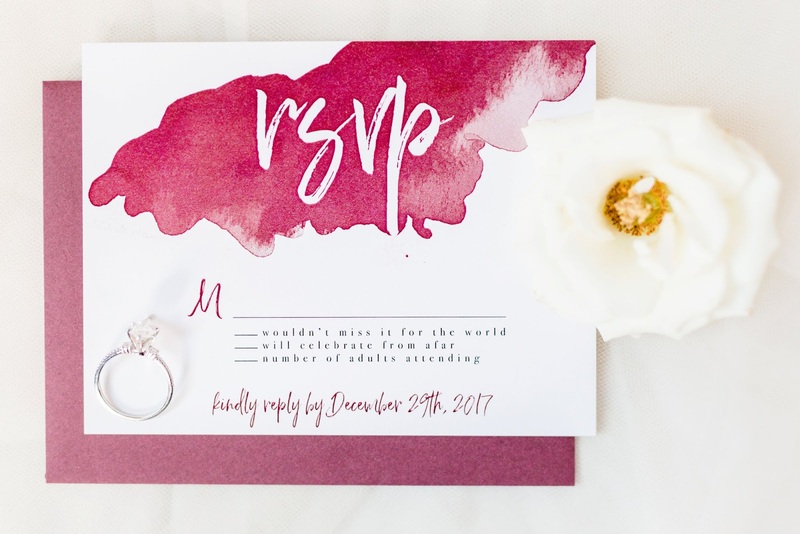 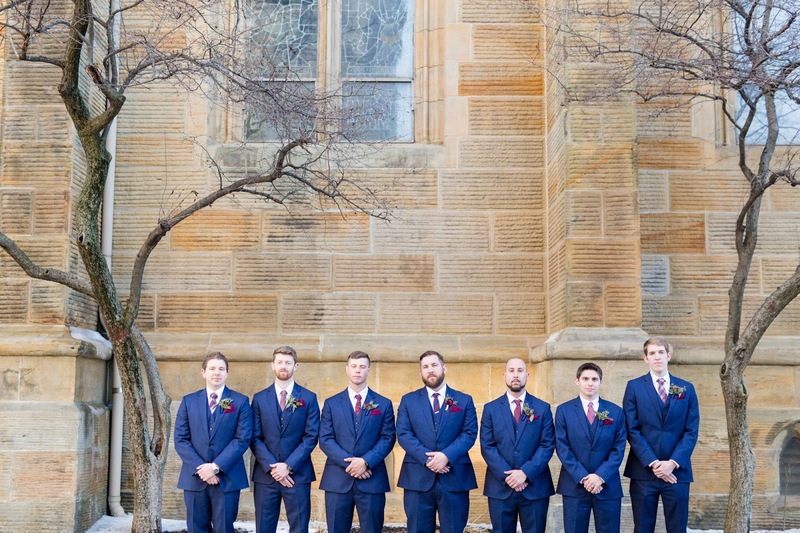 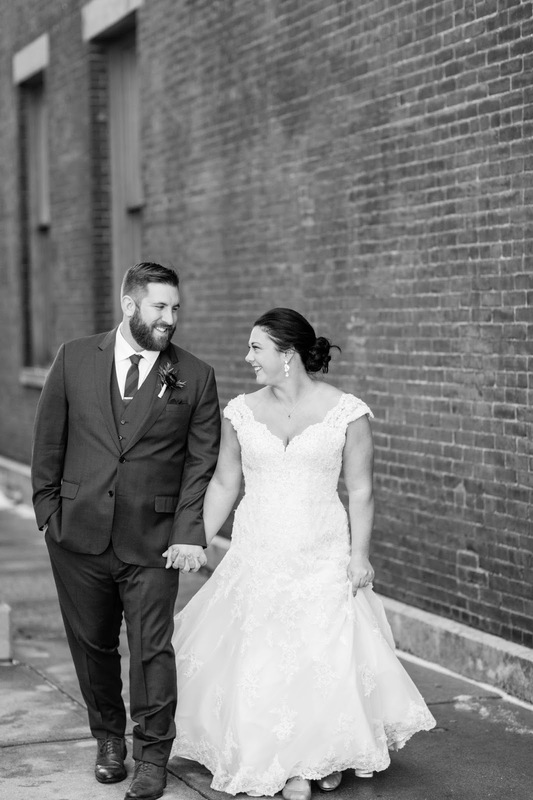 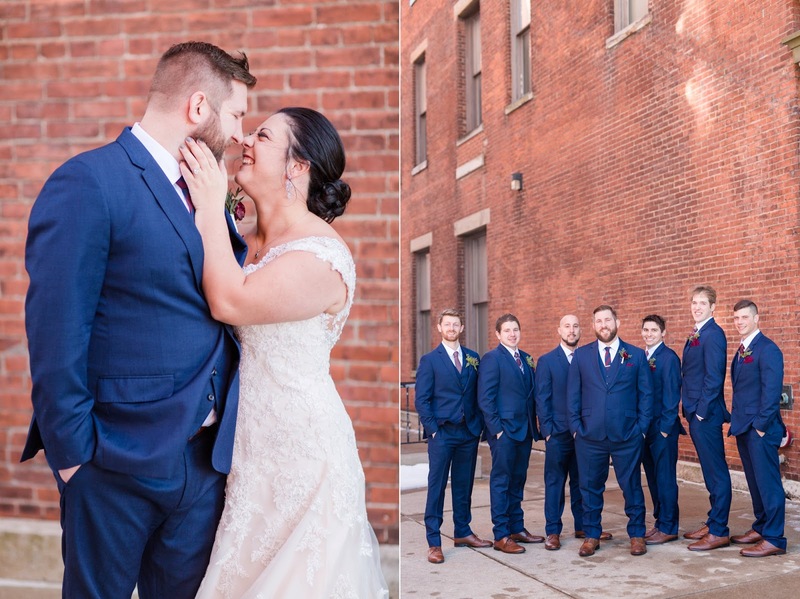 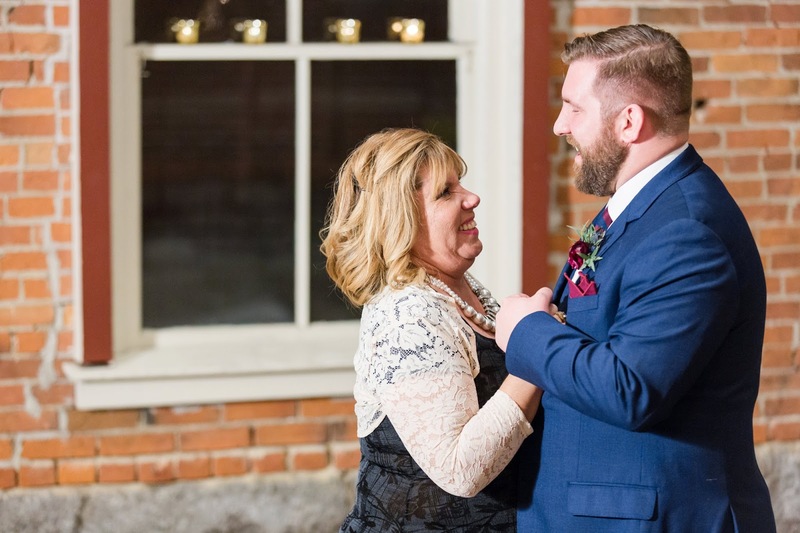 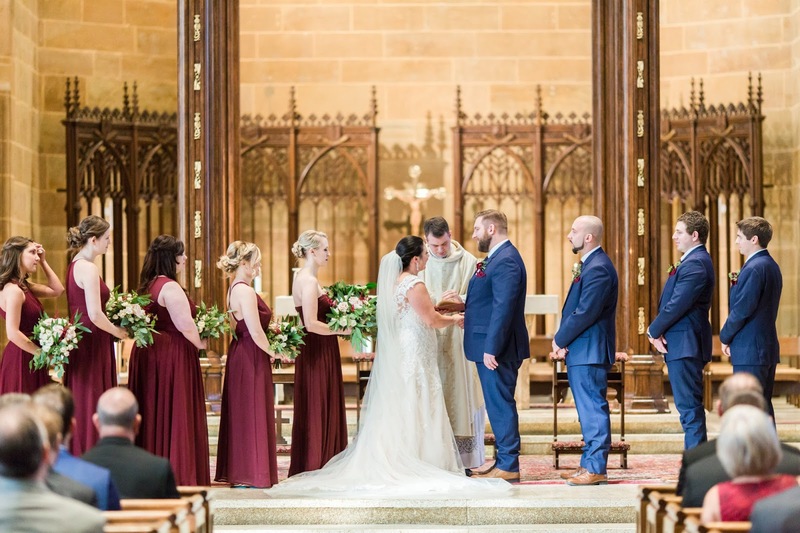 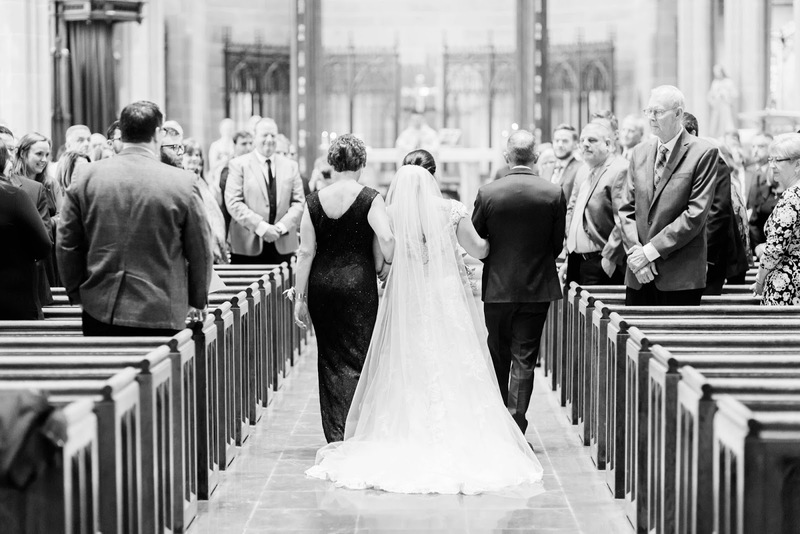 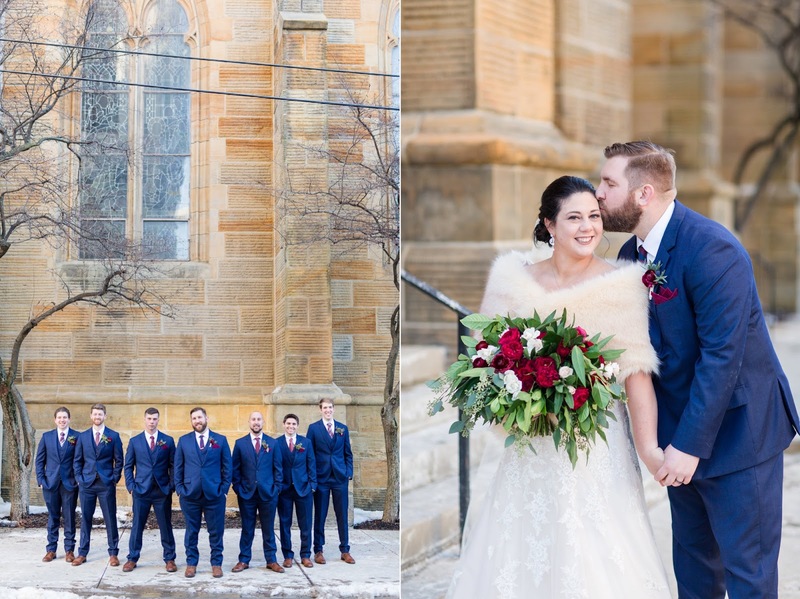 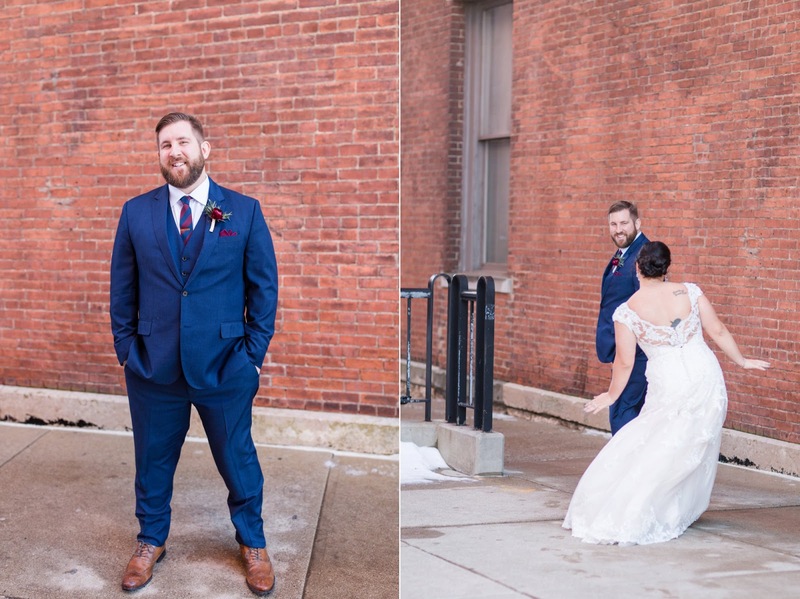 Their beautiful wine and navy wedding took place in the midst of Ohio winter, and with their friends and family by their sides, they said their vows at St. Joseph’s cathedral in downtown Columbus. 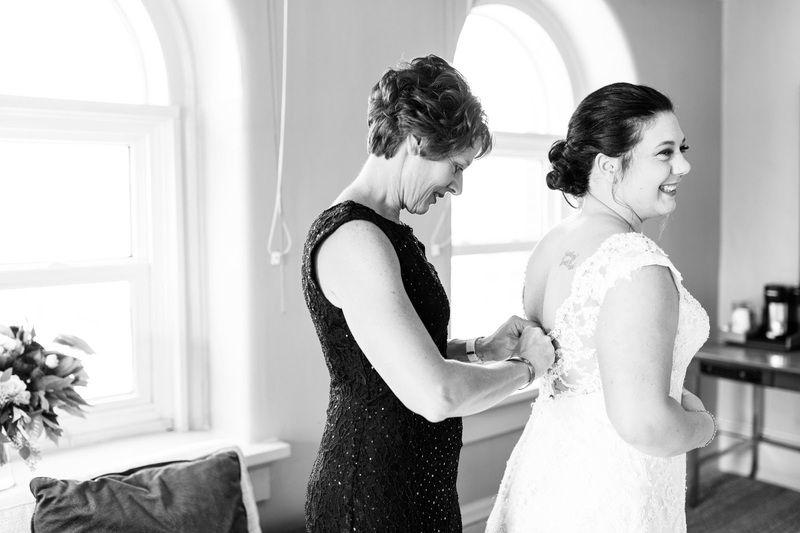 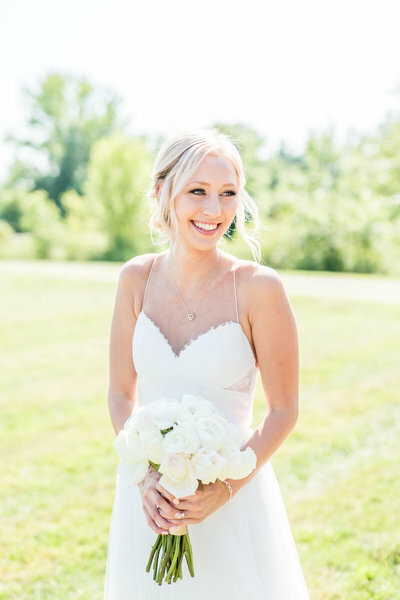 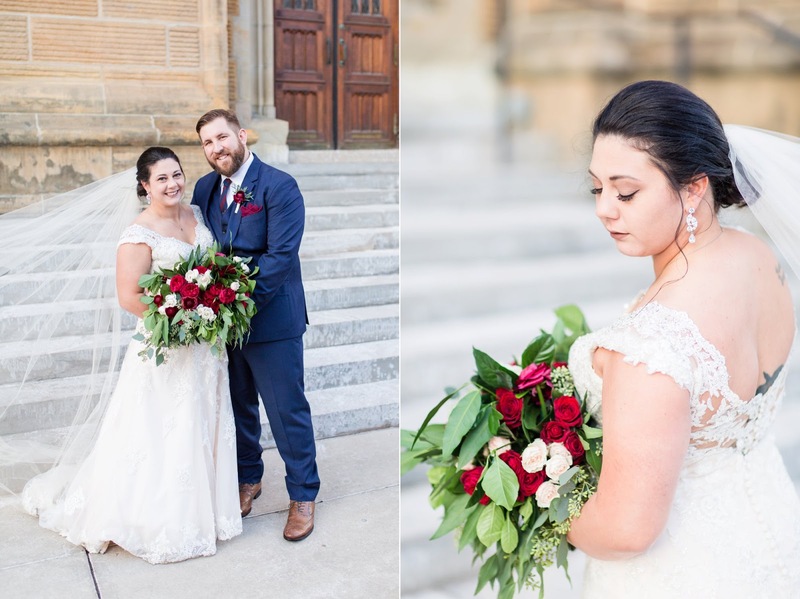 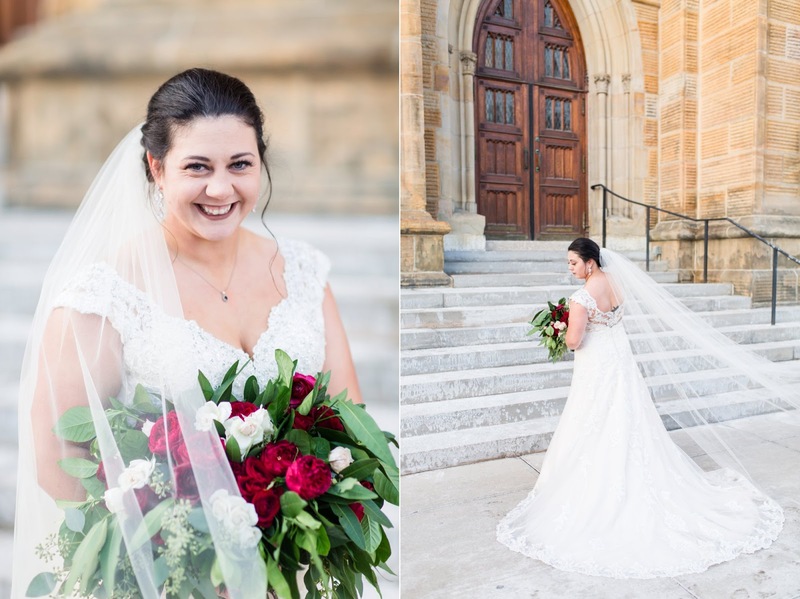 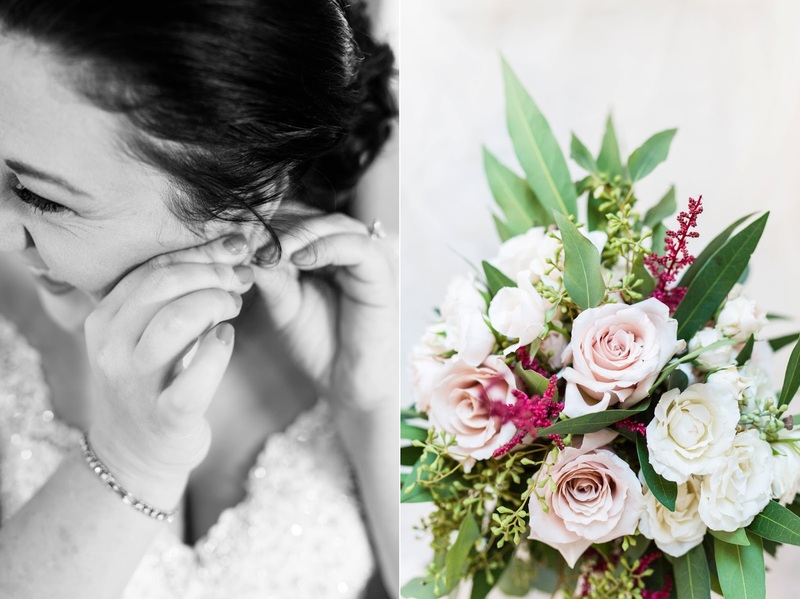 Sam radiated beauty and joy with her elegant updo, crystal earrings, and sparkling smile, and she even wore a veil as a surprise (Stephen thought she hated veils). 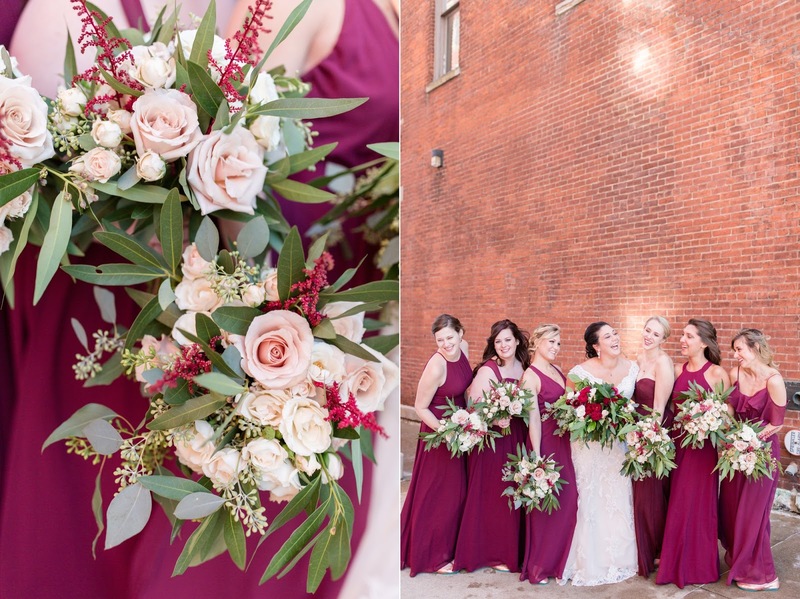 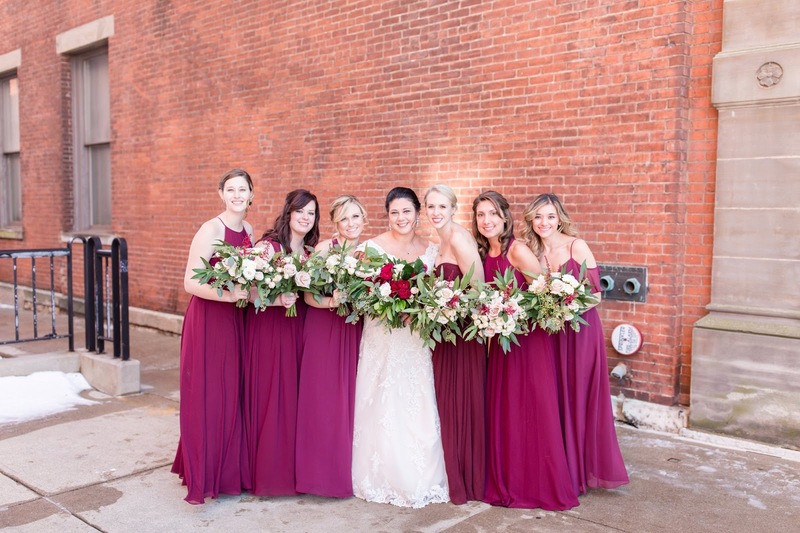 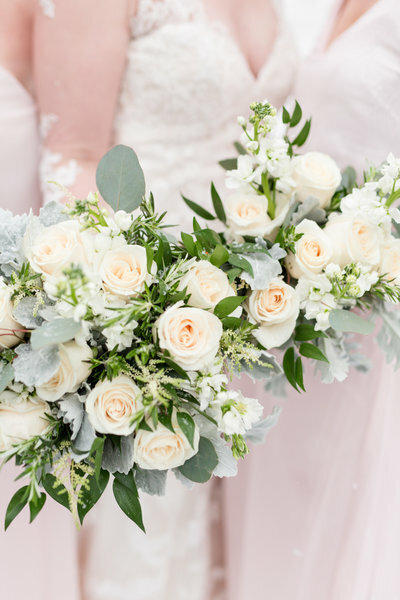 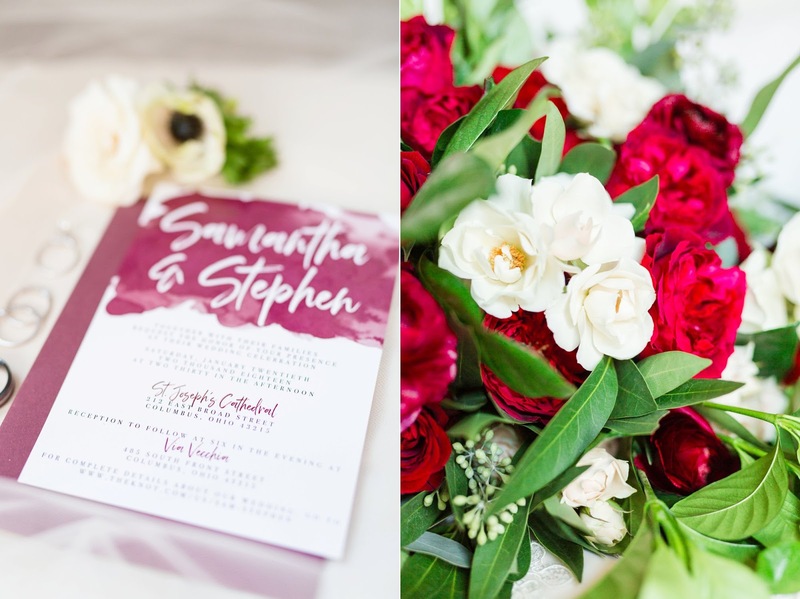 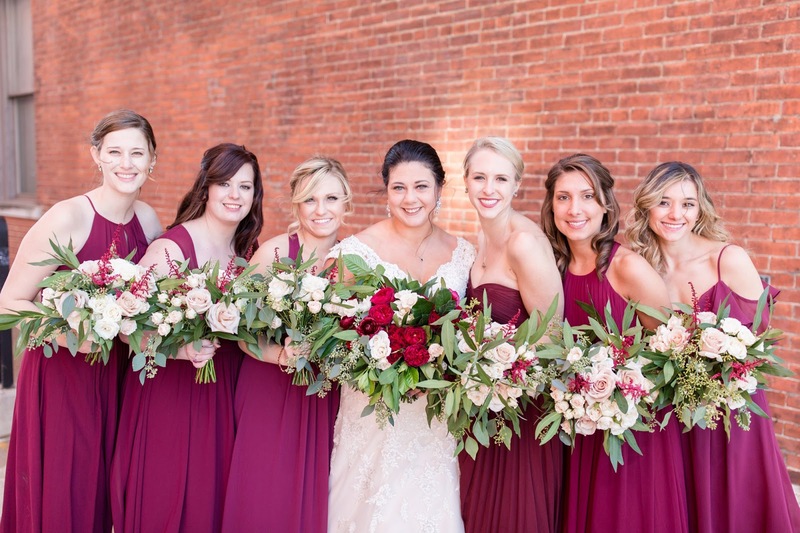 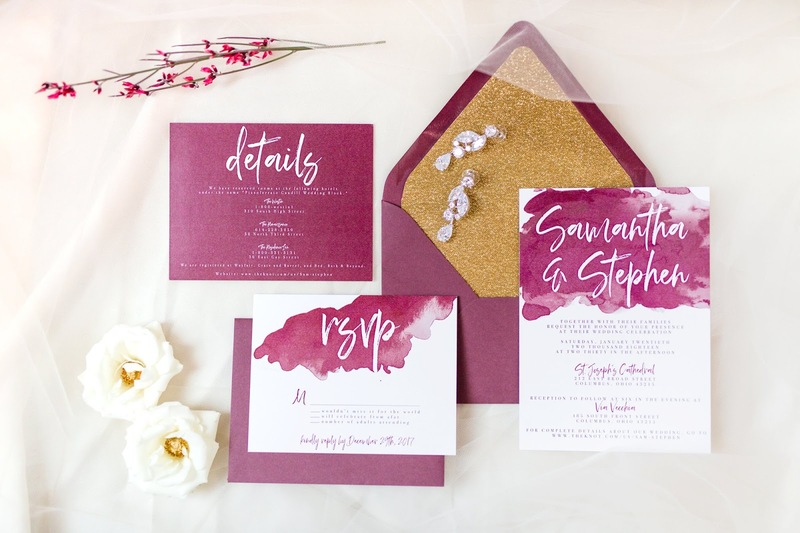 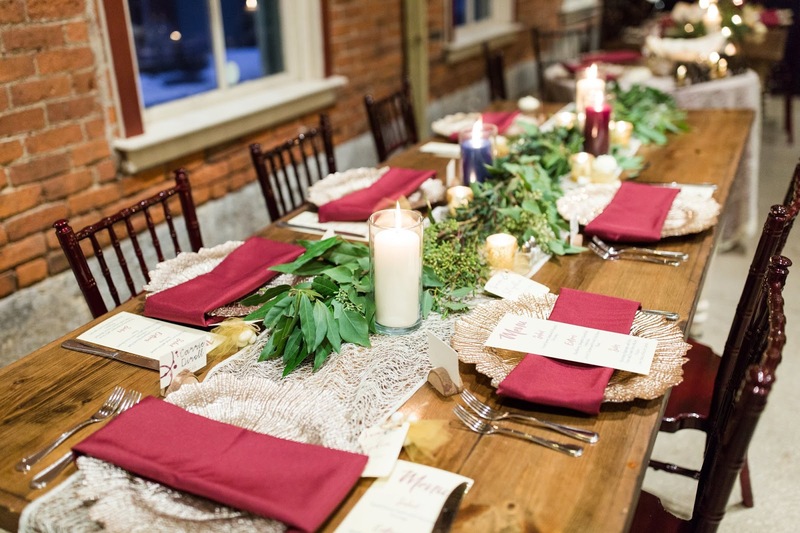 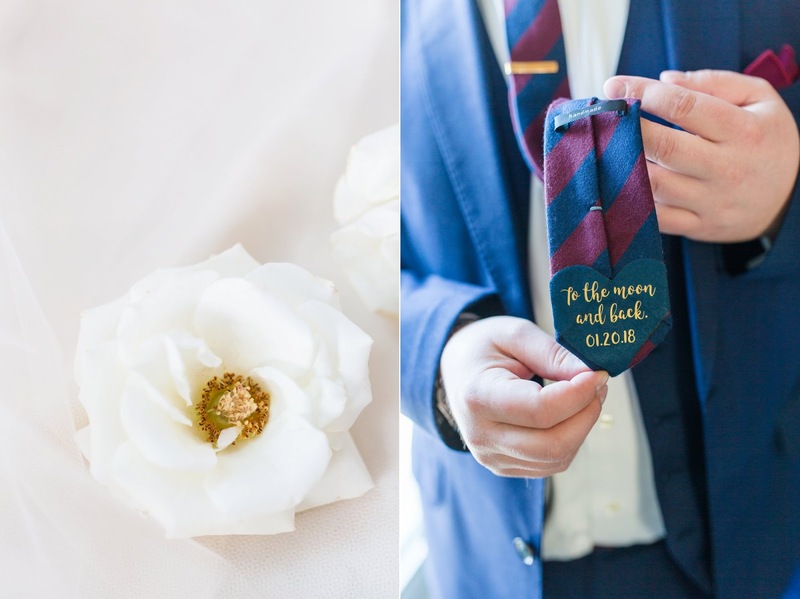 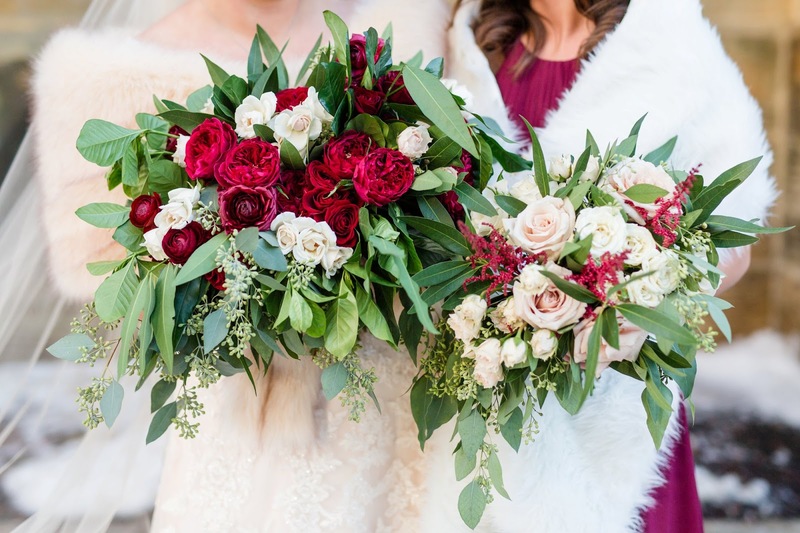 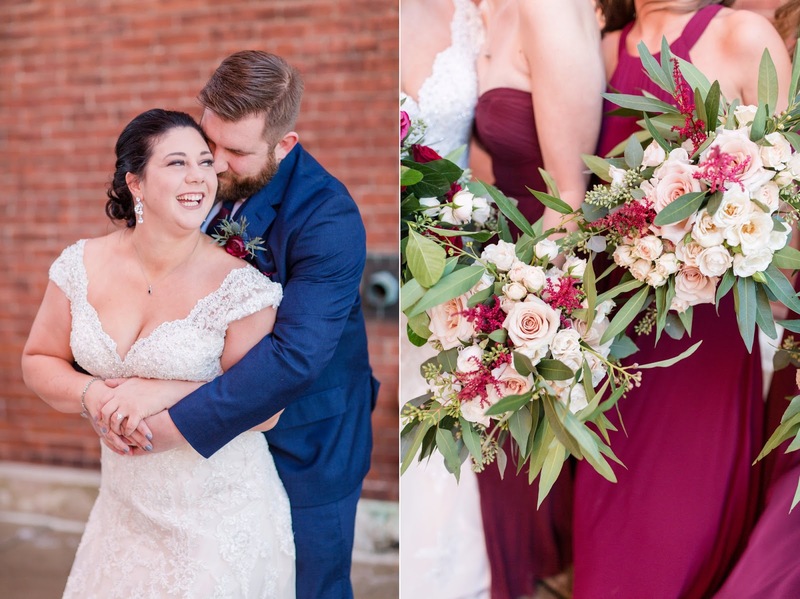 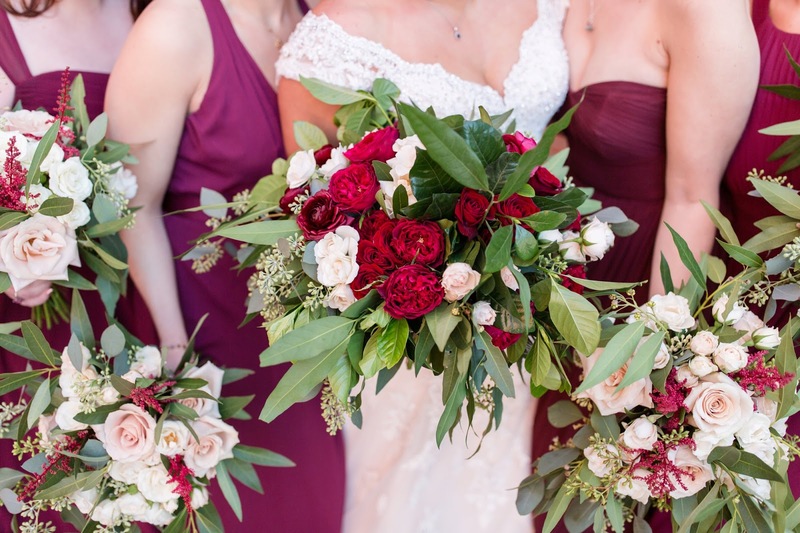 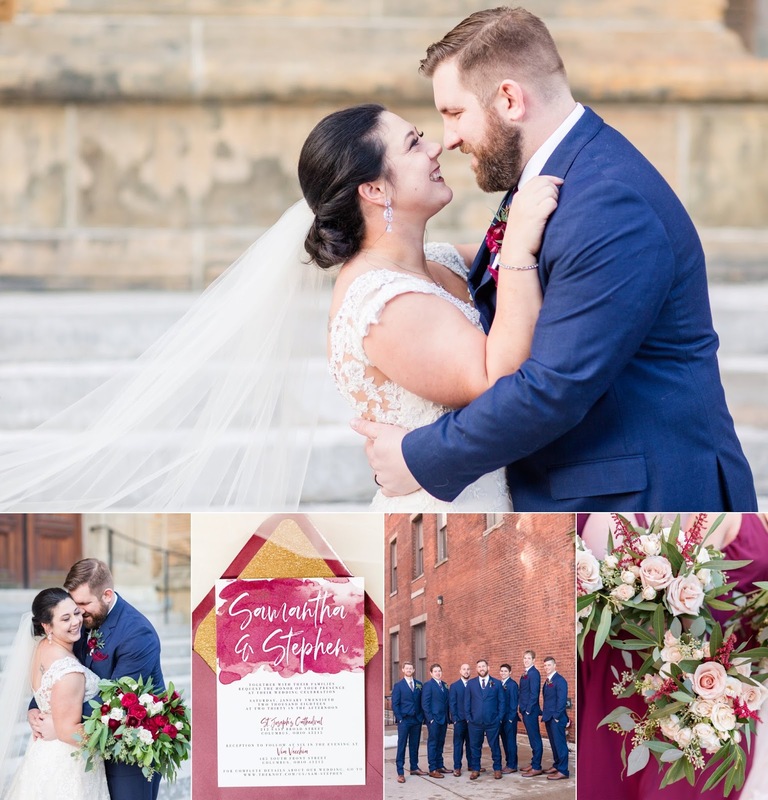 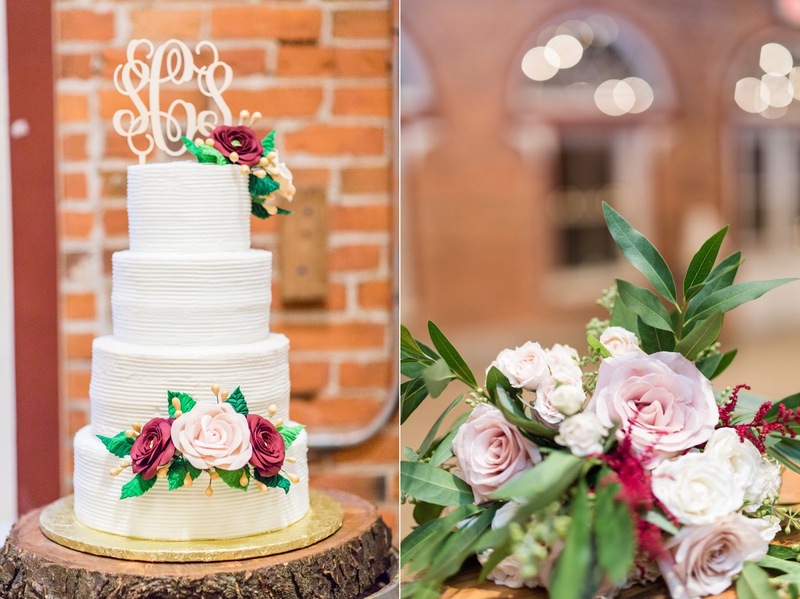 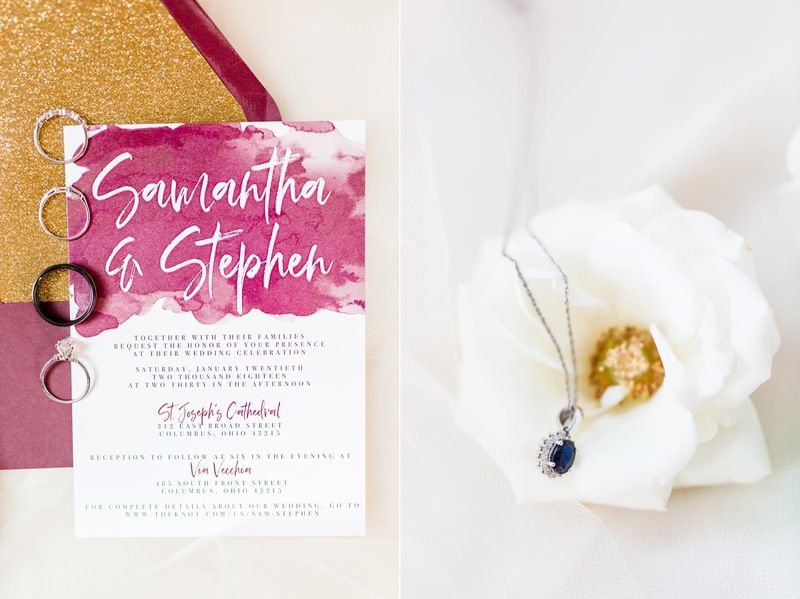 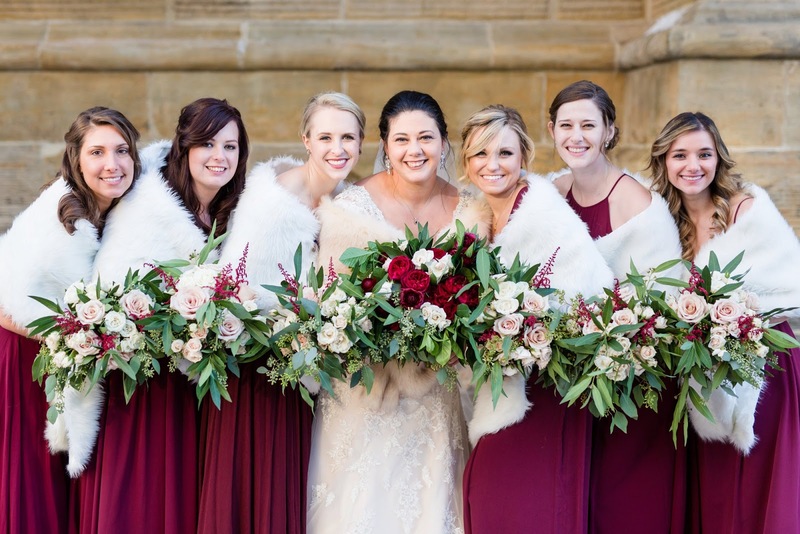 The gorgeous floral arrangements by Madison House Designs brought out the rich colors of the bridesmaids gowns and groomsmen attire, and the stone and brick backdrops of downtown painted the perfect canvas. 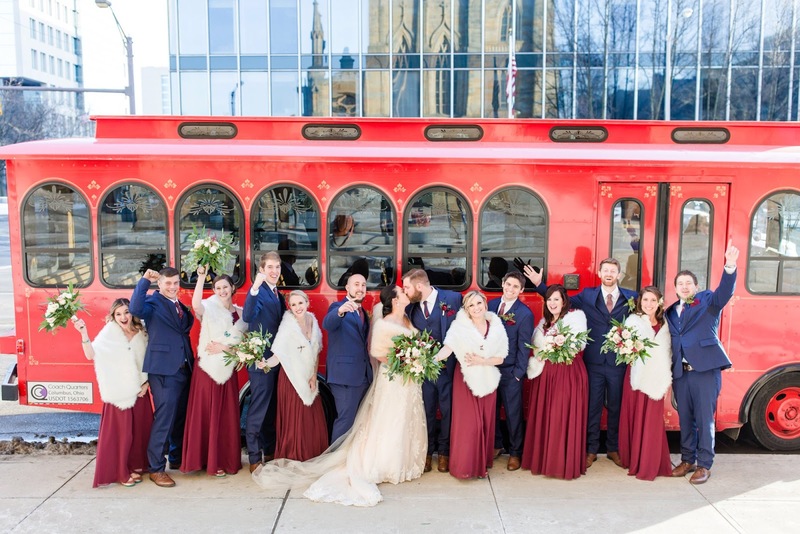 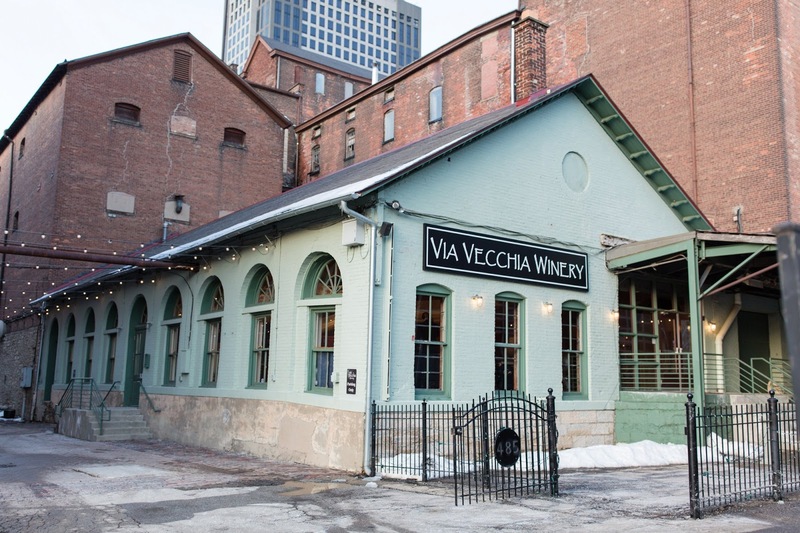 The bridal party arrived at Via Vecchia for the reception in style, emerging from a bright red trolley that screamed New Orleans. 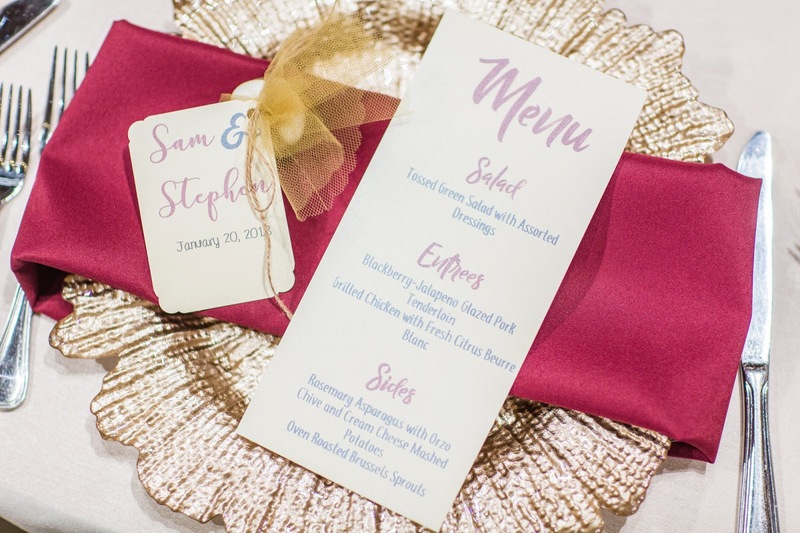 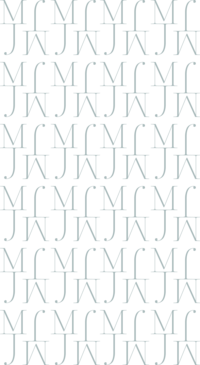 The sound of New Orleans jazz transported their guests to the Deep South with each table bearing a New Orleans street name. 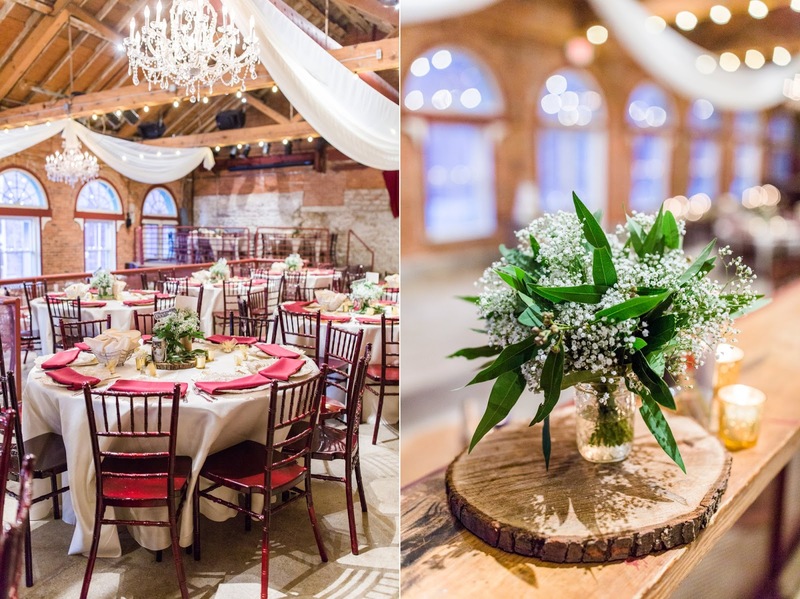 The ambience, the upbeat mood, the decor… it was all perfect. 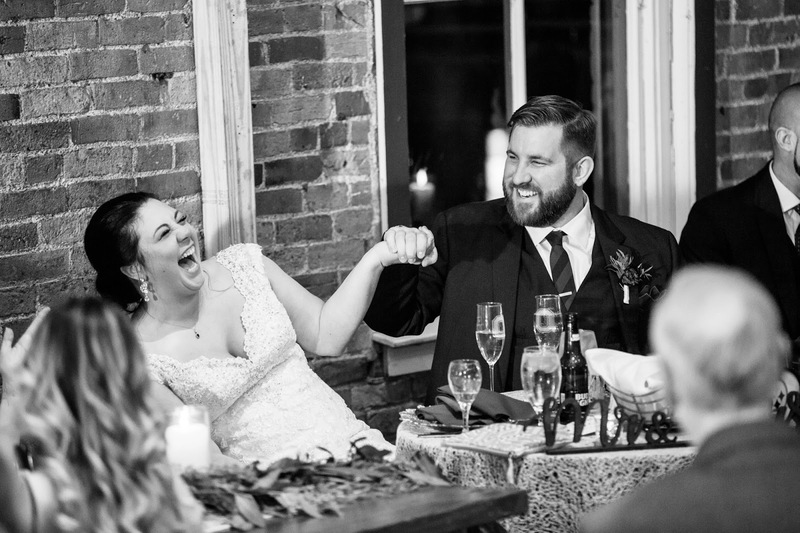 And then came my favorite part of the day; the toasts. 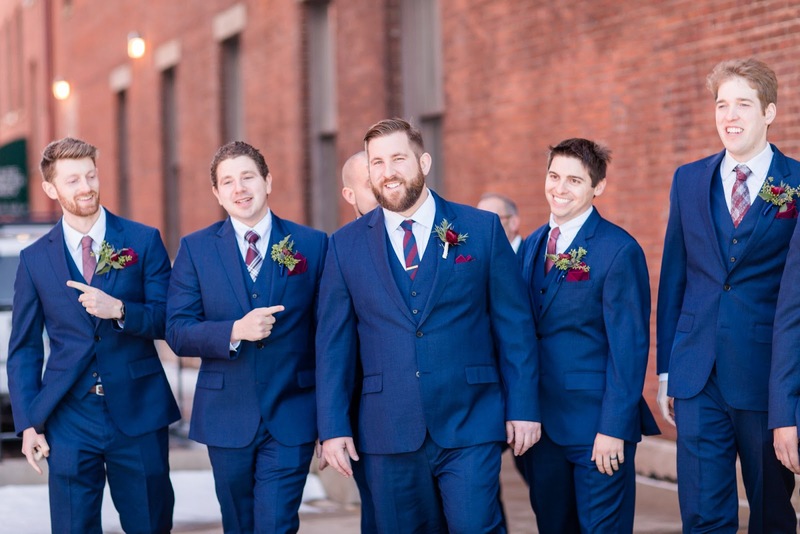 You learn a lot about a couple from the way their closest friends and family members talk about them in their speeches, and I can tell you with complete confidence that Sam and Stephen are both so loved. 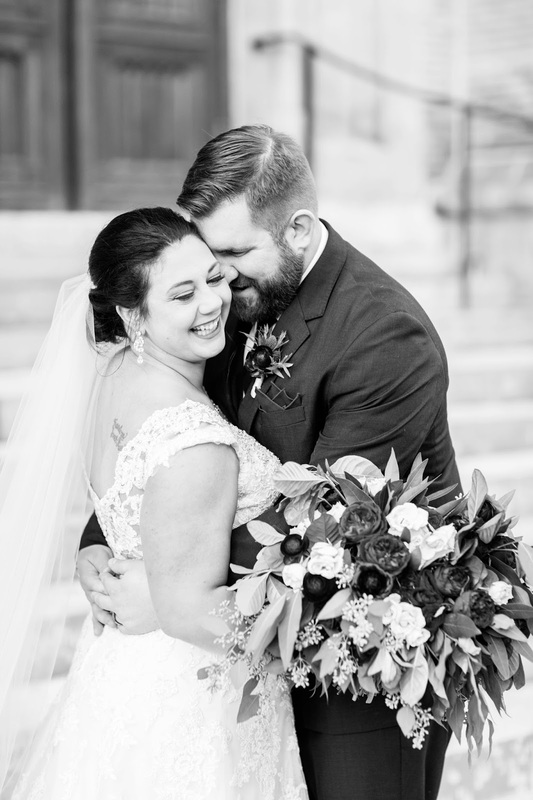 They are giving, they love to laugh, and are the perfect match for one another. 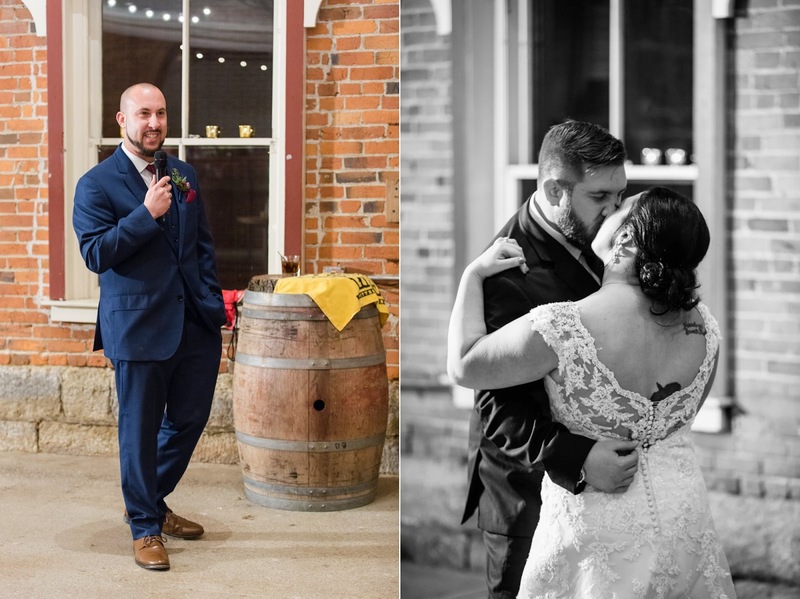 Sam and Stephen, thank you for letting me tell your story! 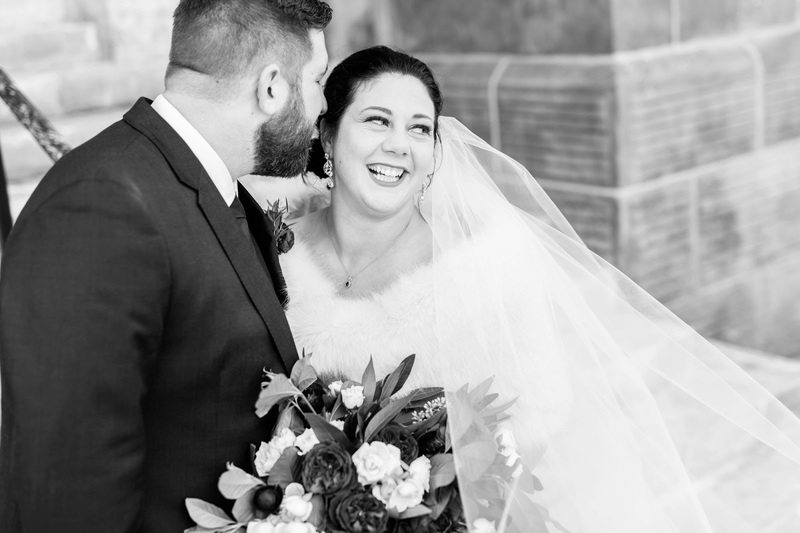 Congratulations on your new marriage, and may each day be happier than the one before! 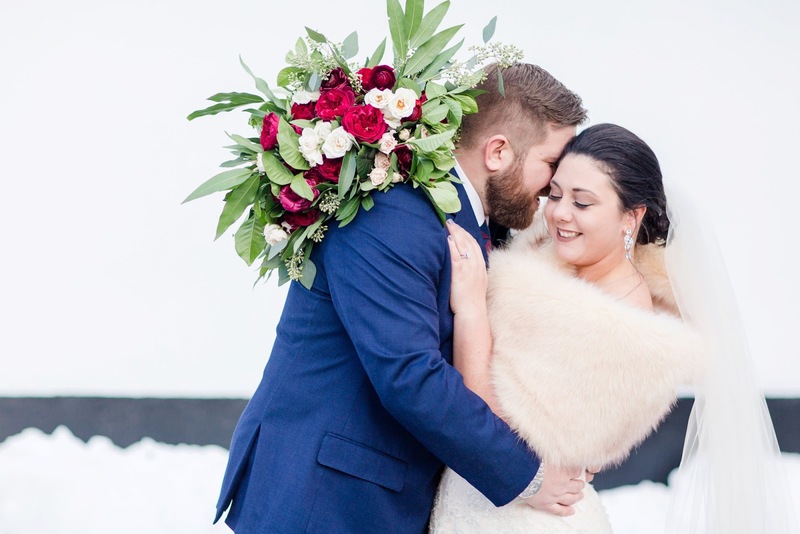 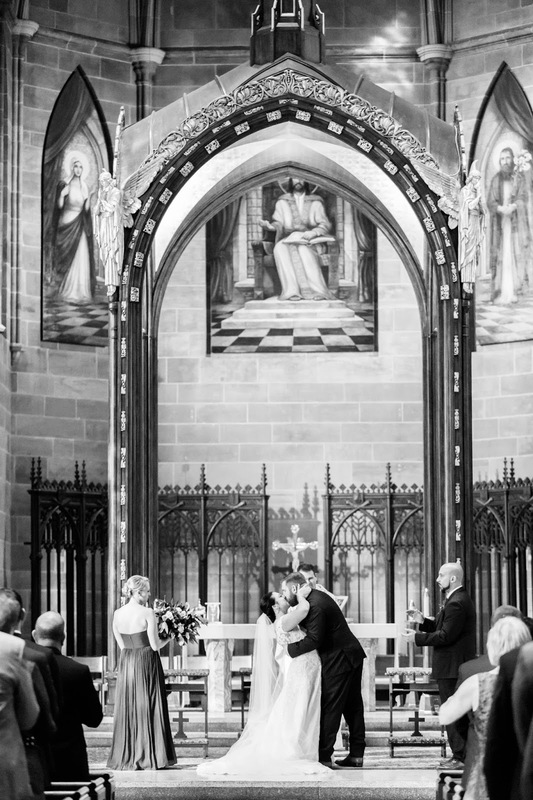 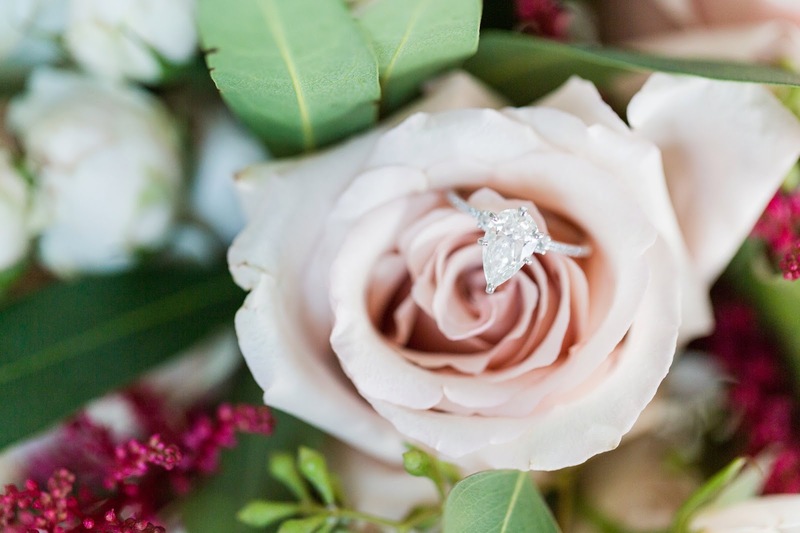 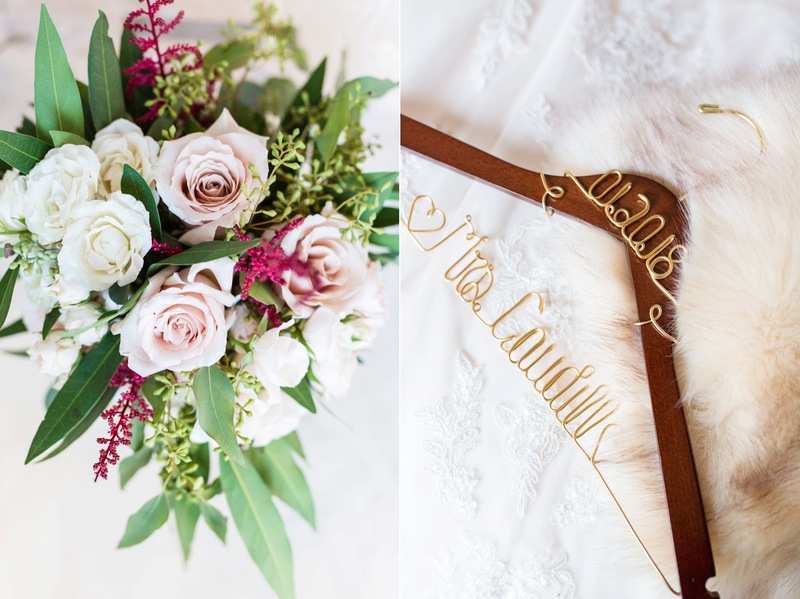 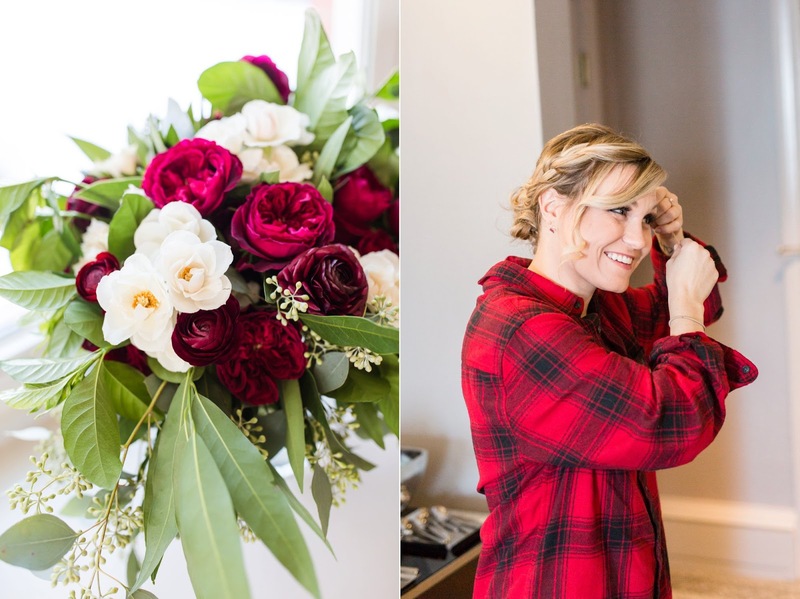 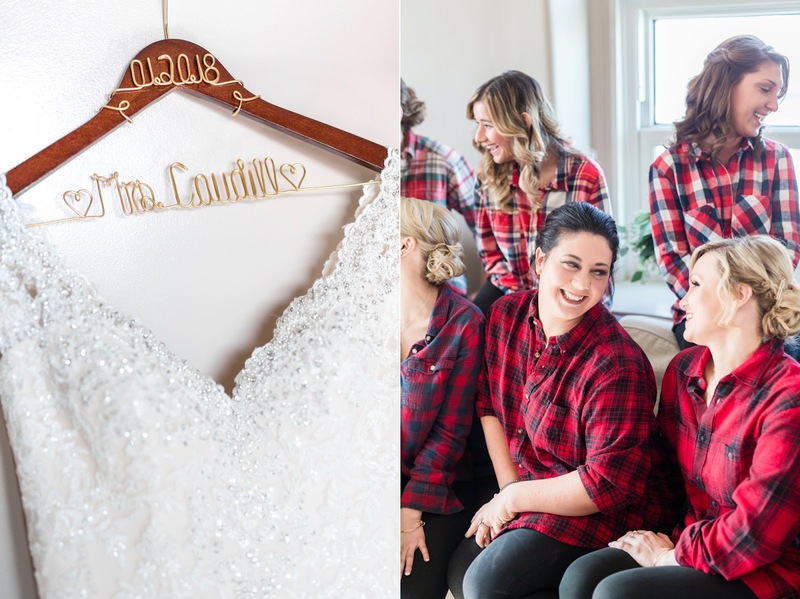 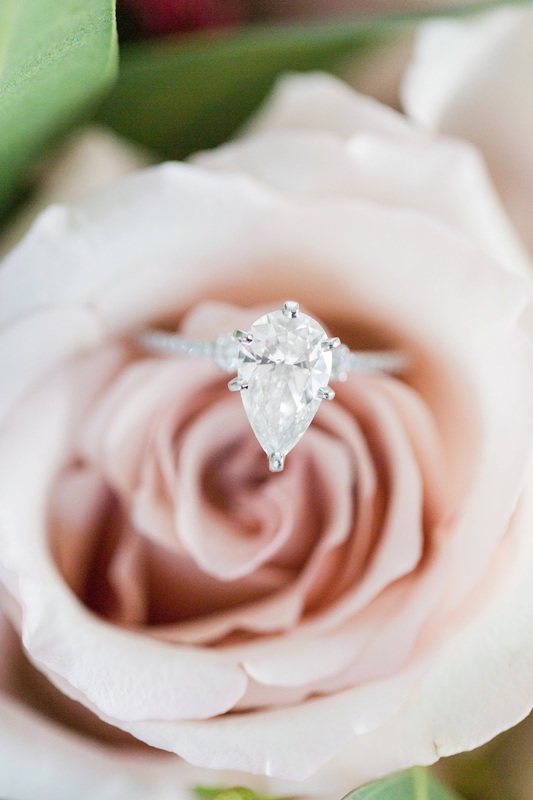 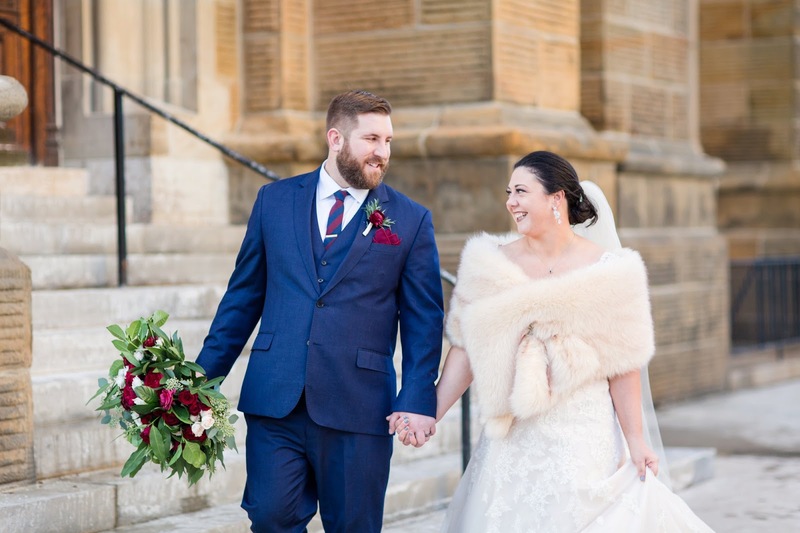 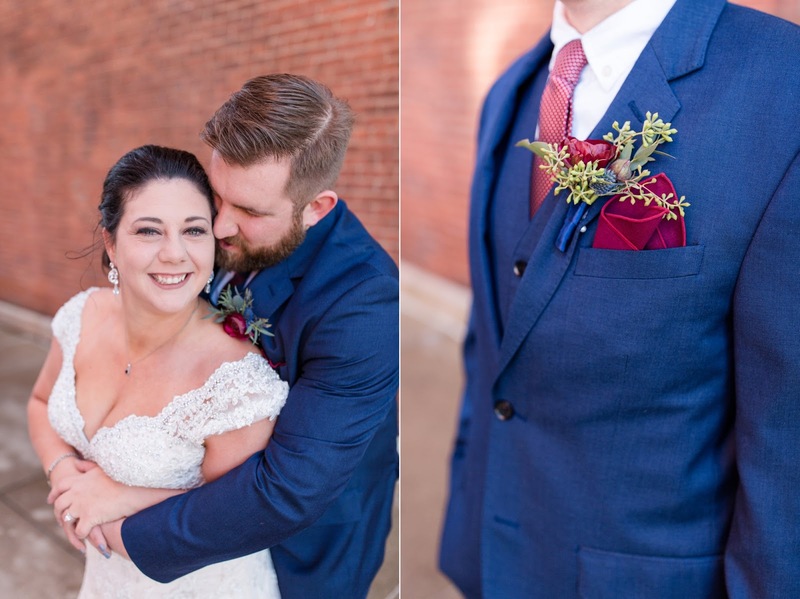 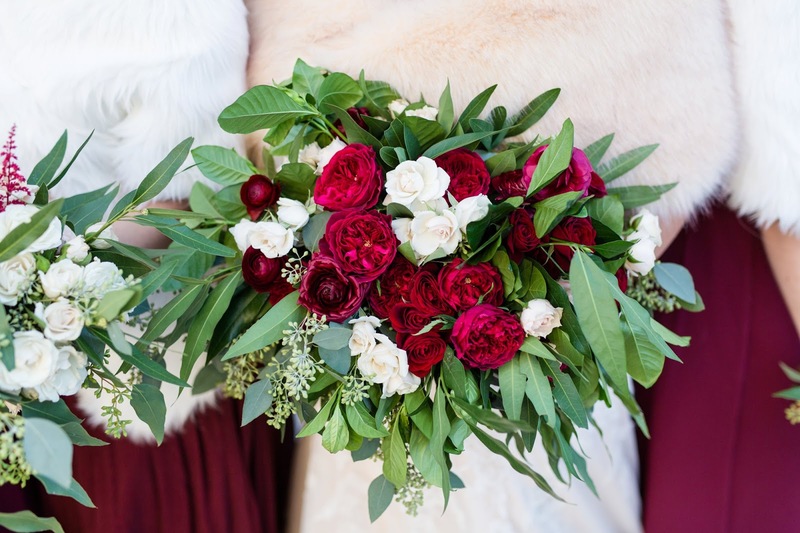 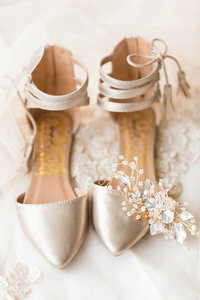 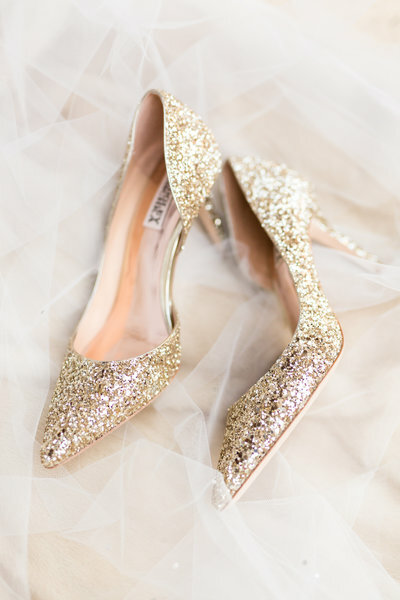 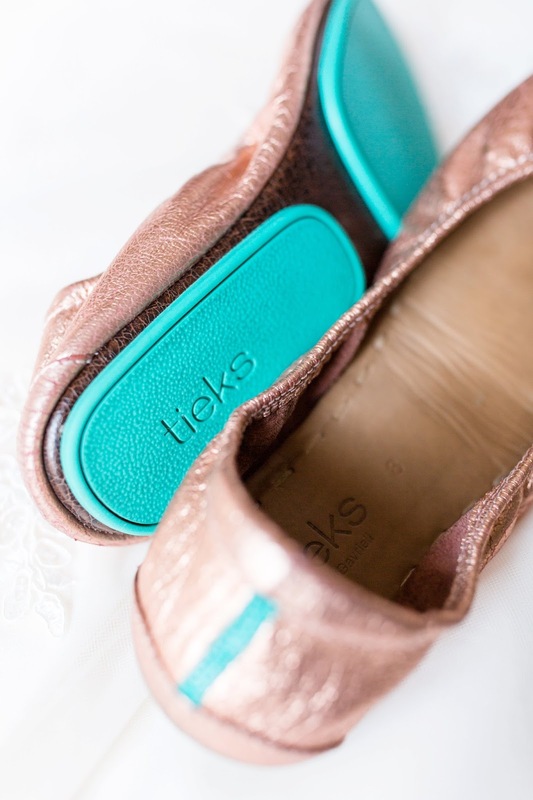 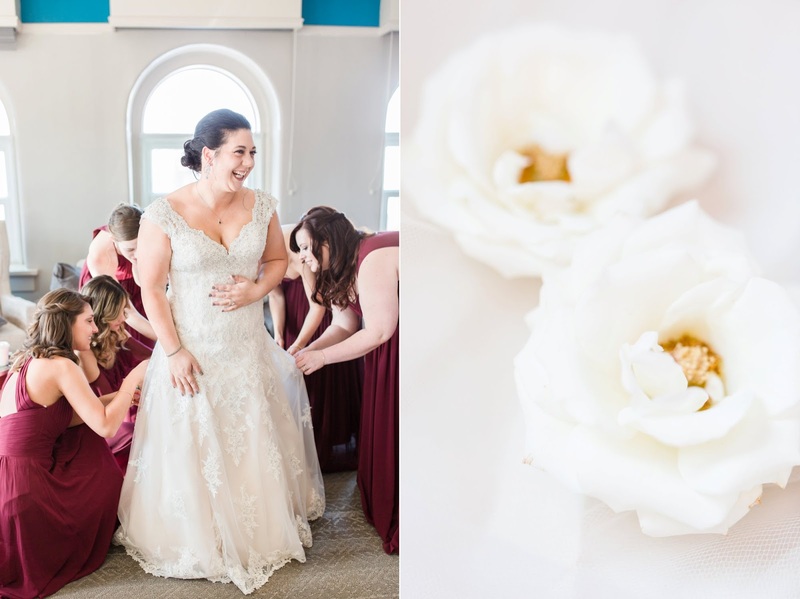 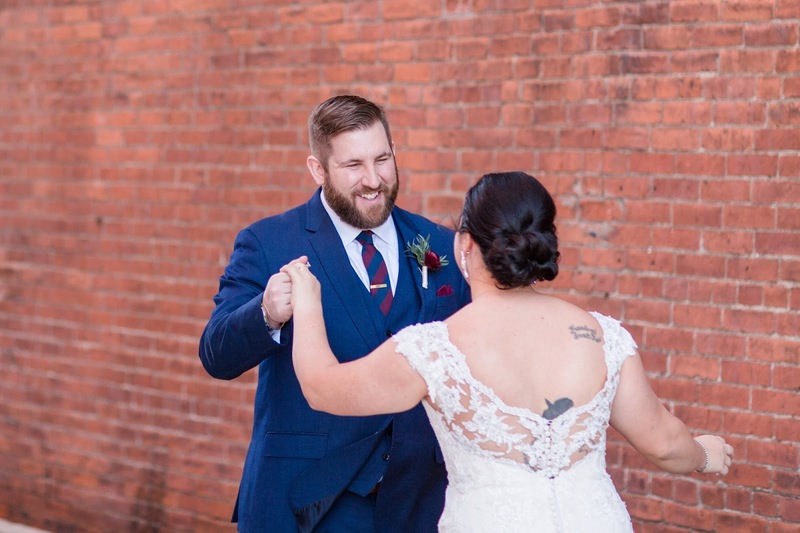 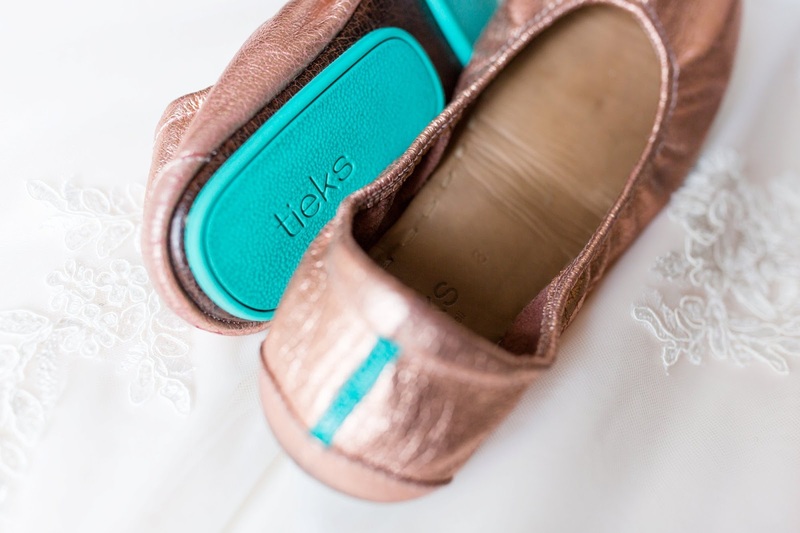 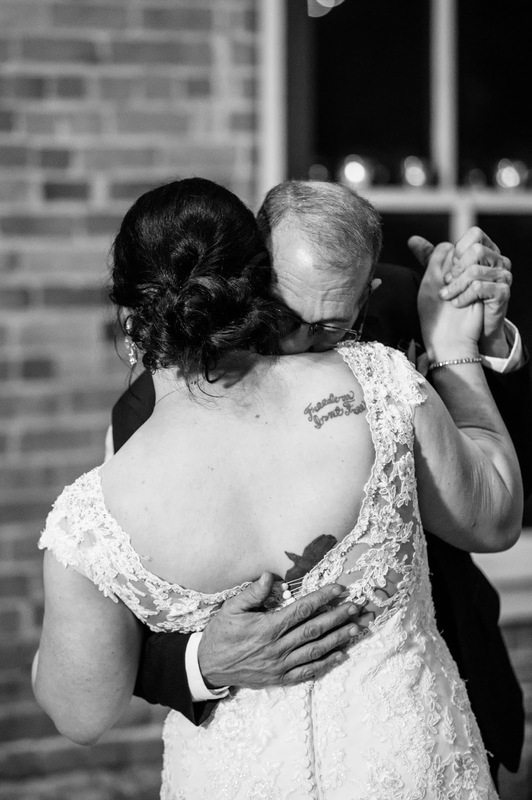 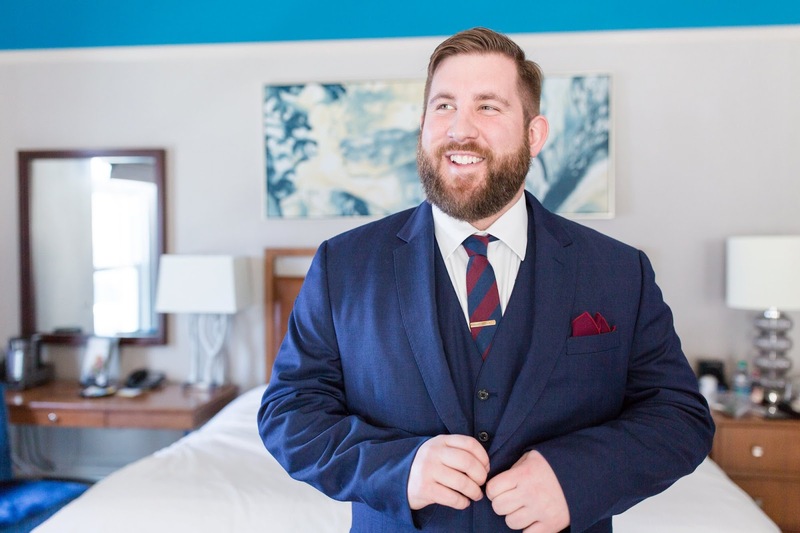 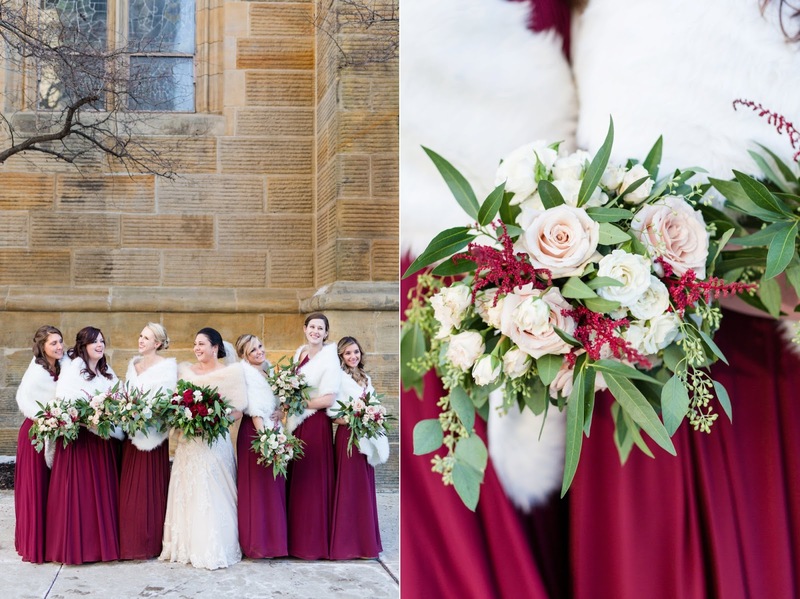 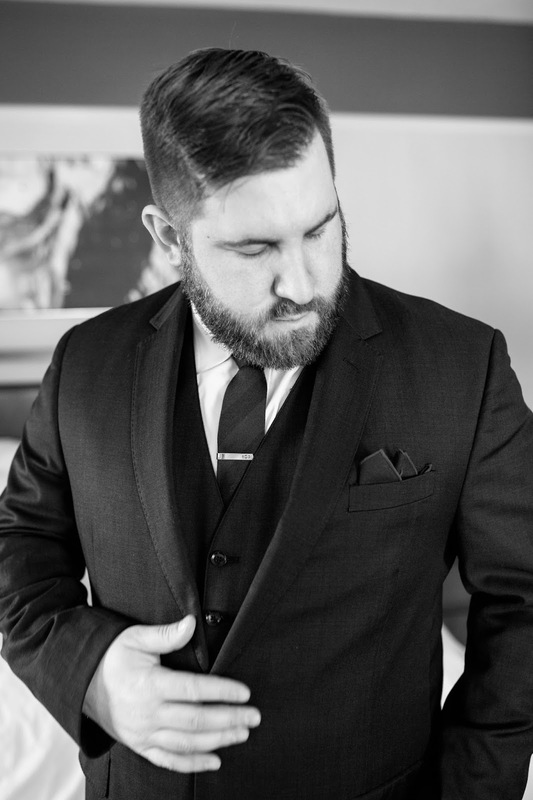 If you enjoyed this post, you might also enjoy Holly & Matt’s winter wedding at the Vault!